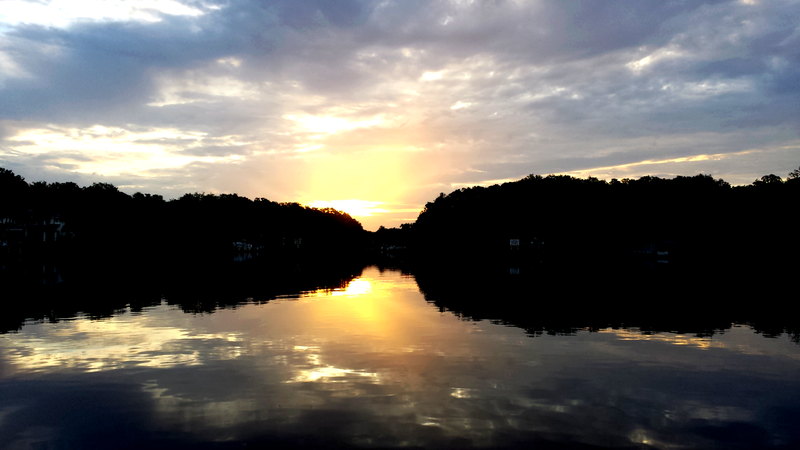 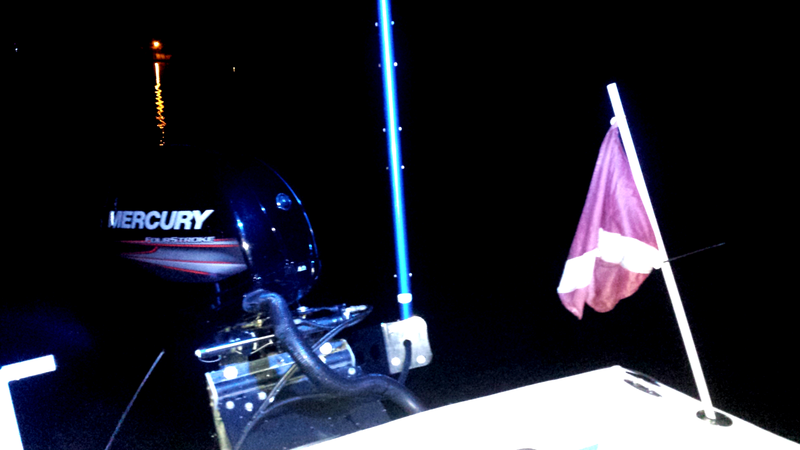 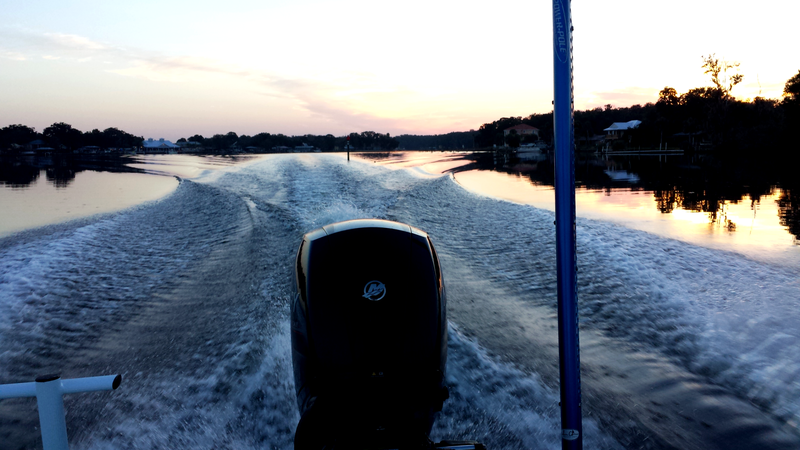 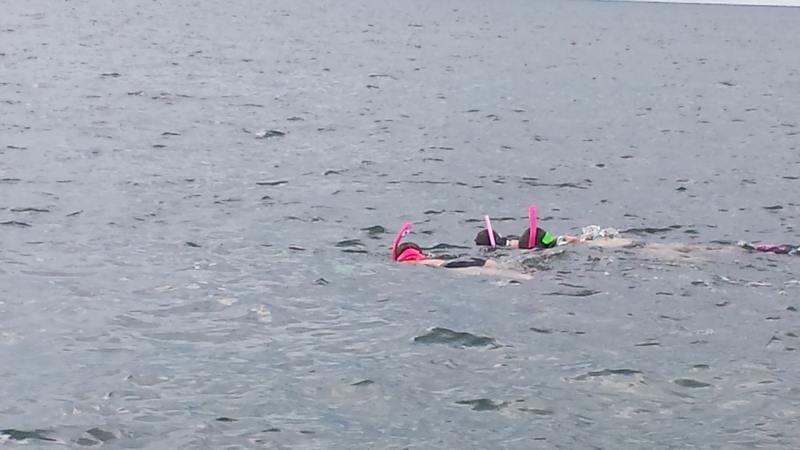 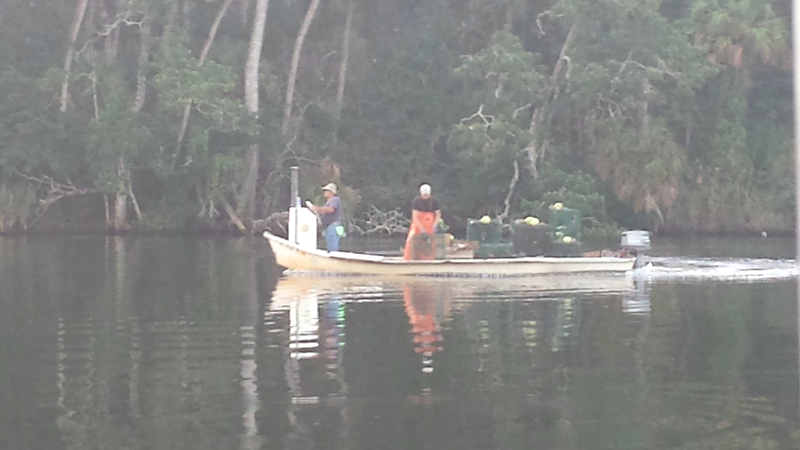 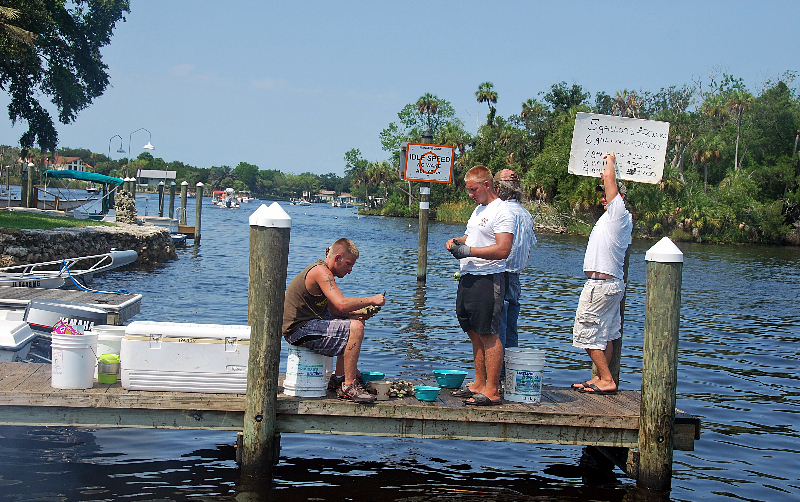 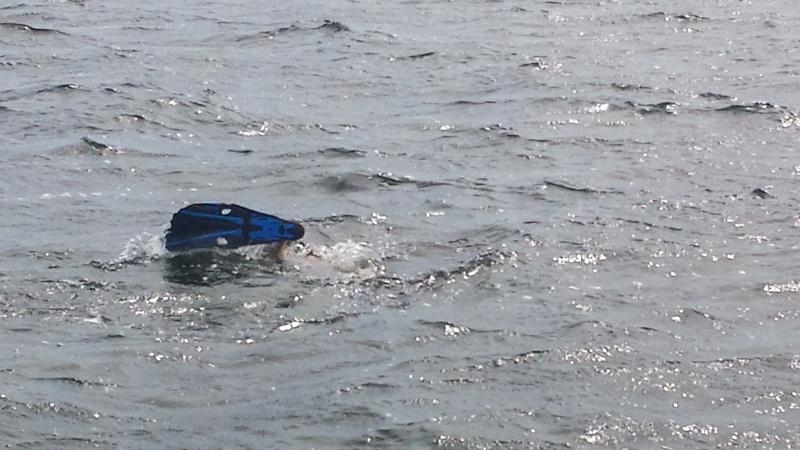 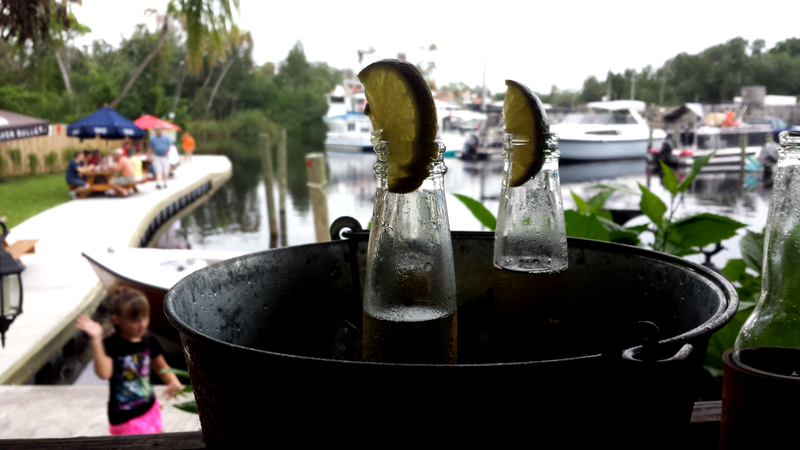 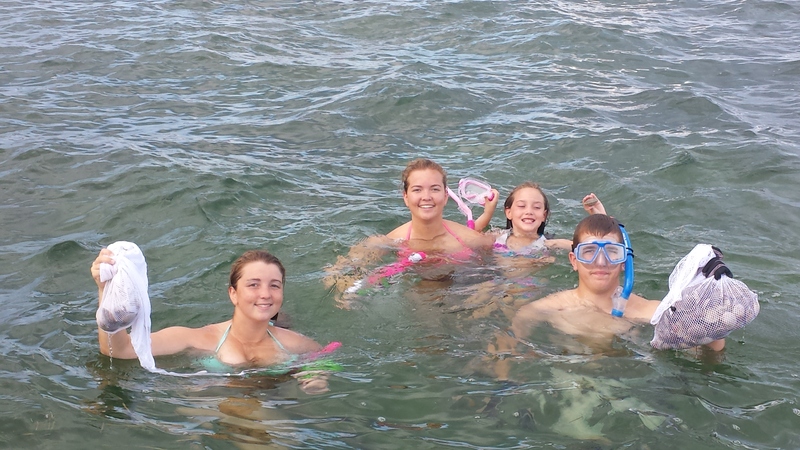 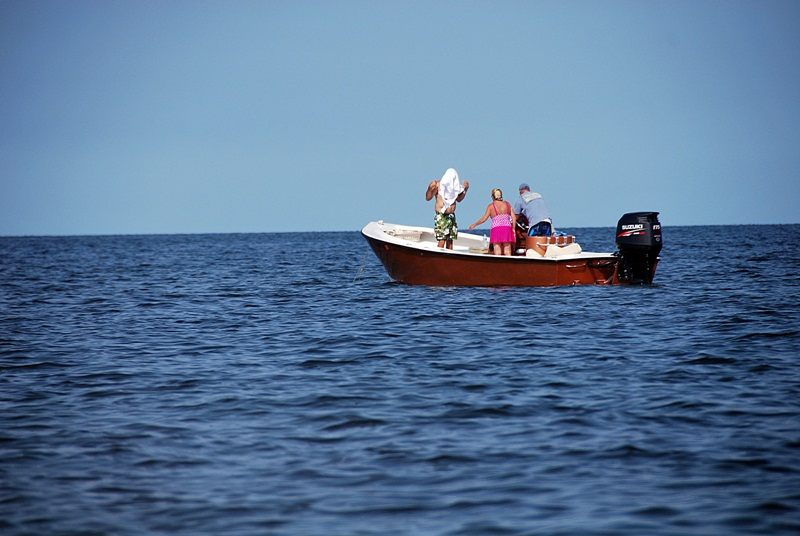 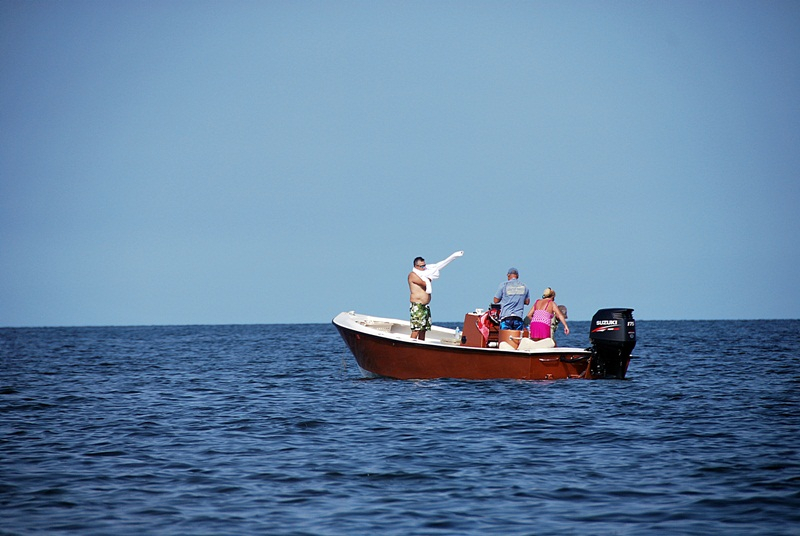 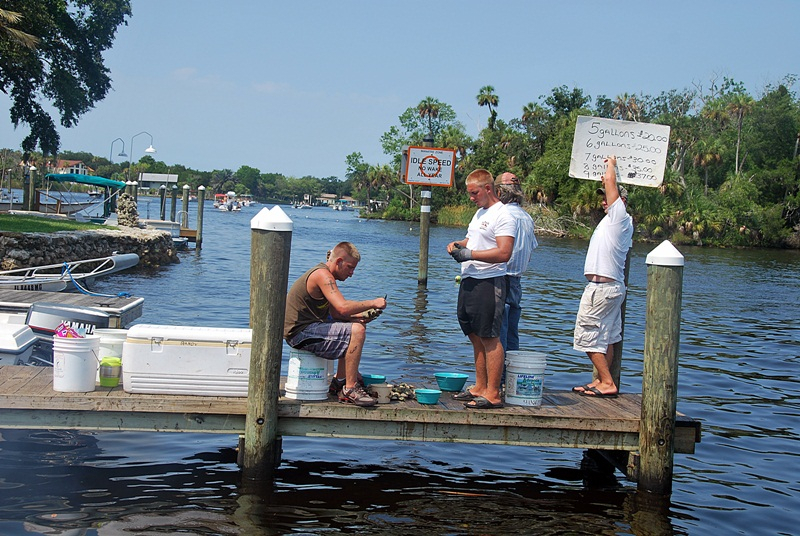 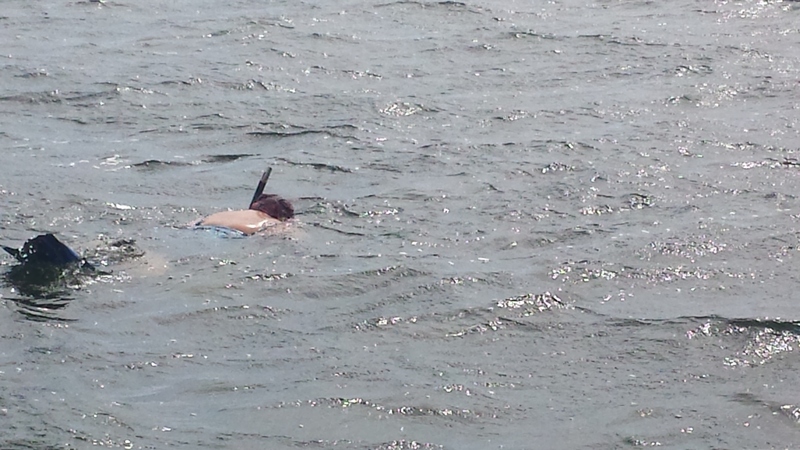 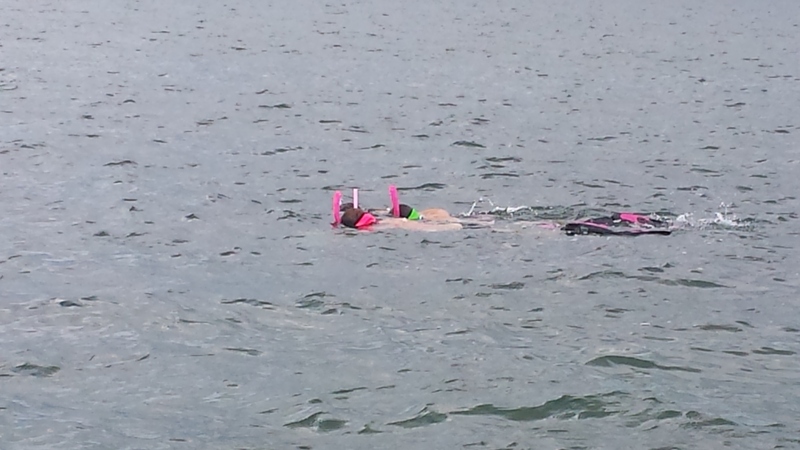 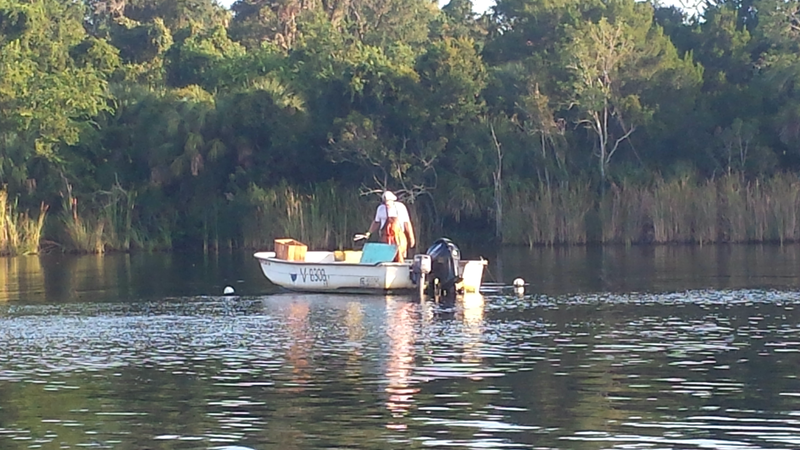 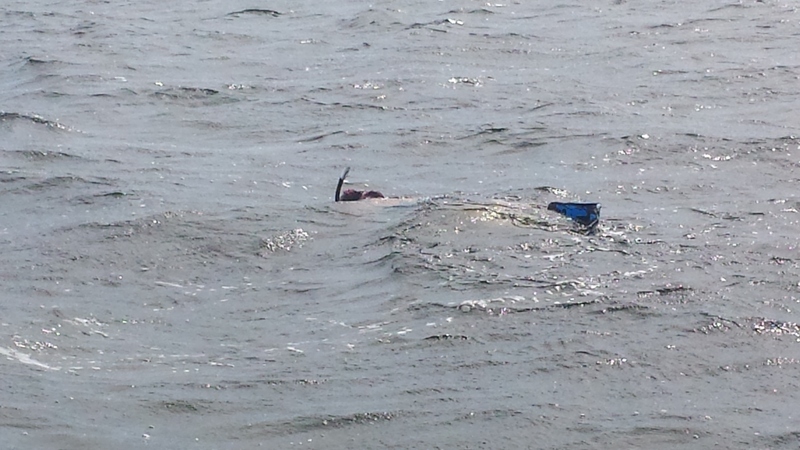 Homosassa Scalloping at it’s finest. 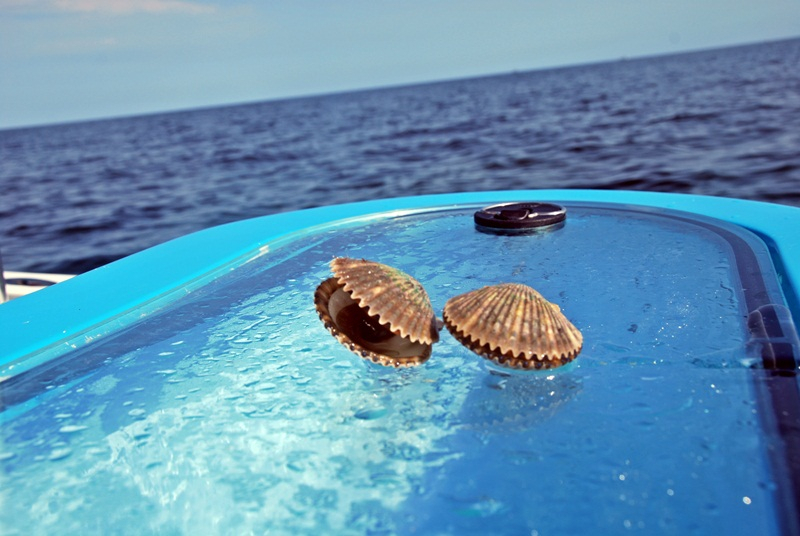 With July behind us now and a great month of scalloping and a lot of happy friends and customers last month we are looking forward too August. 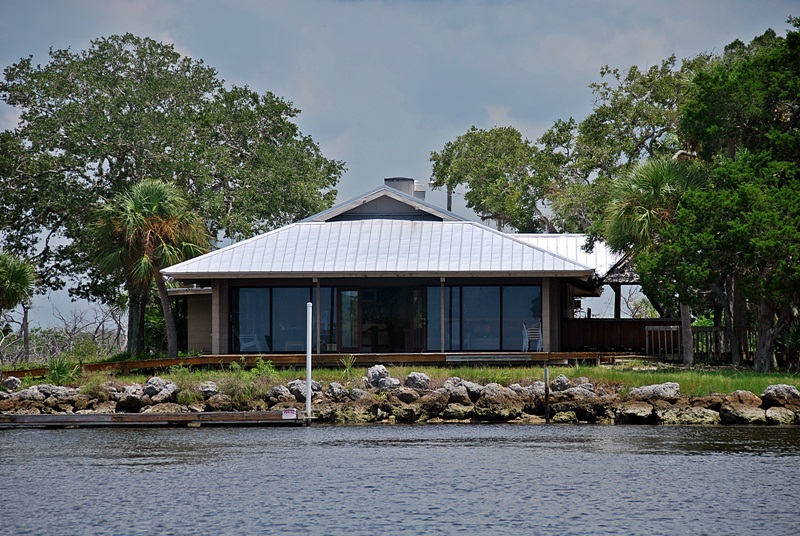 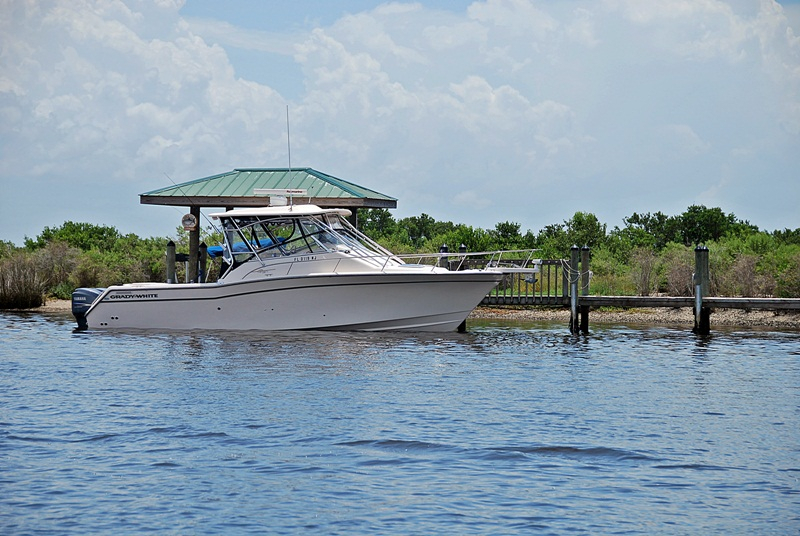 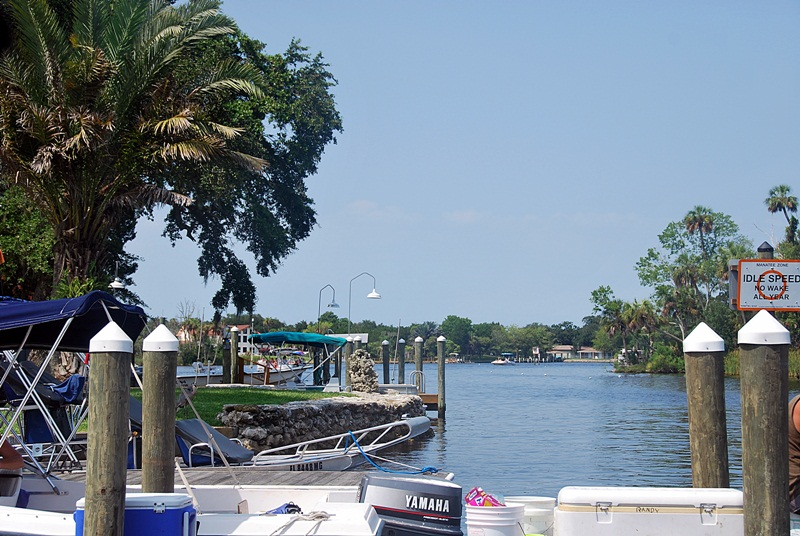 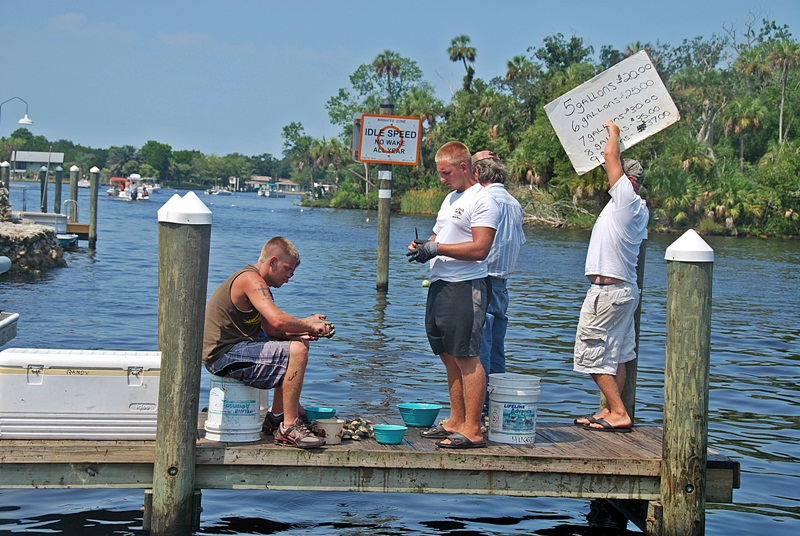 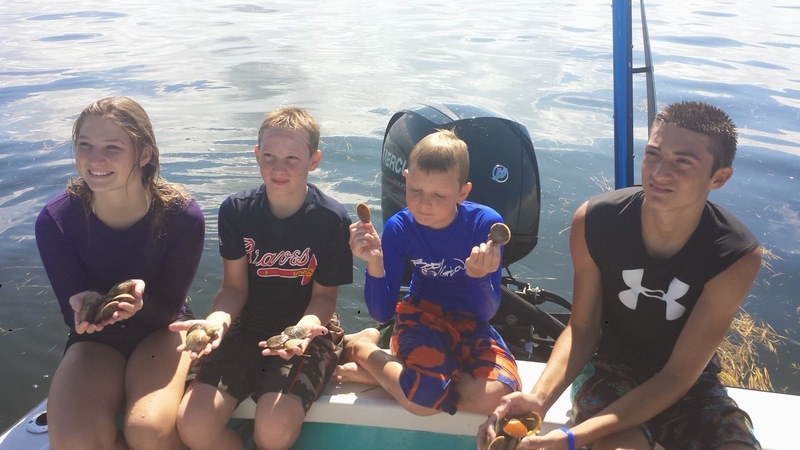 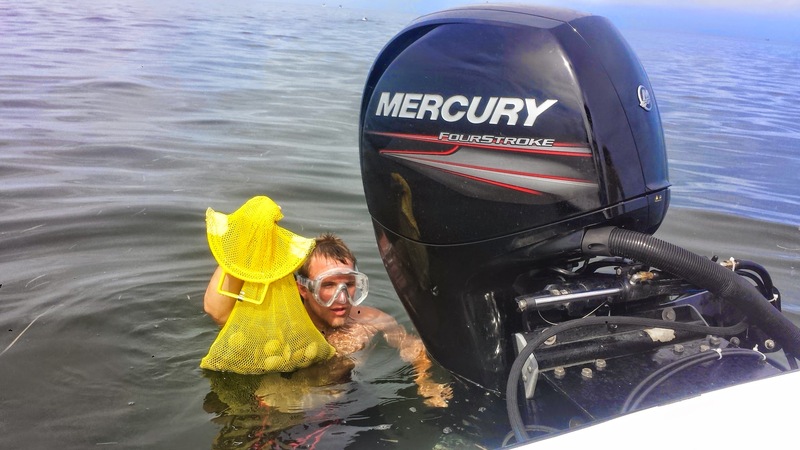 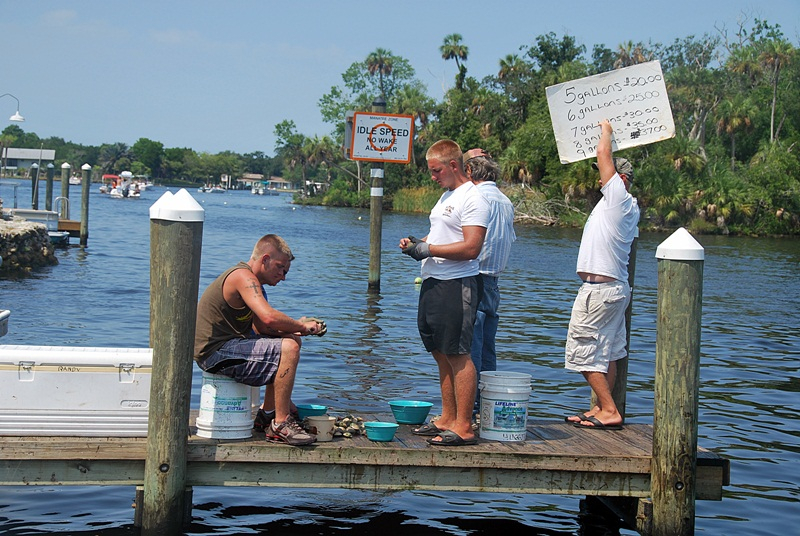 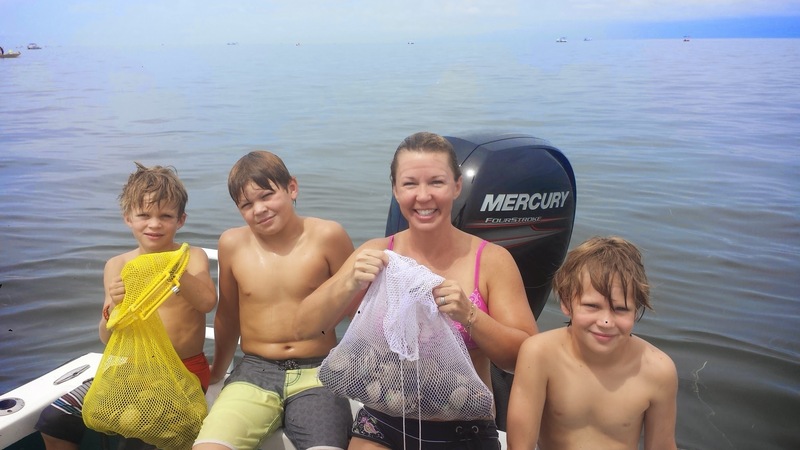 We still have a some great dates open for Scalloping here in Homosassa but the best is during the weekday’s when the boat traffic is not as bad. 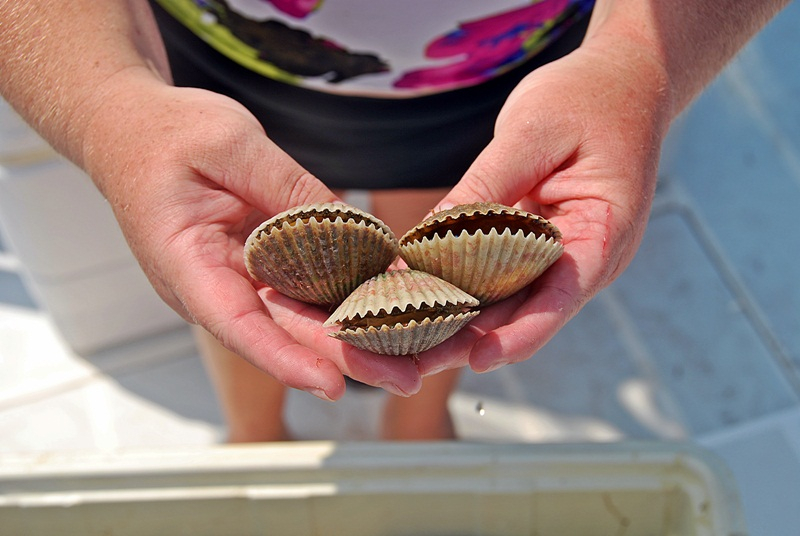 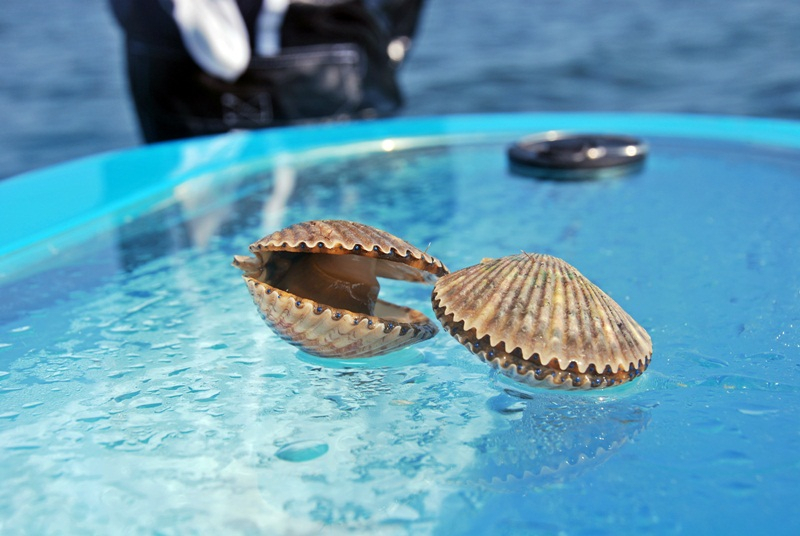 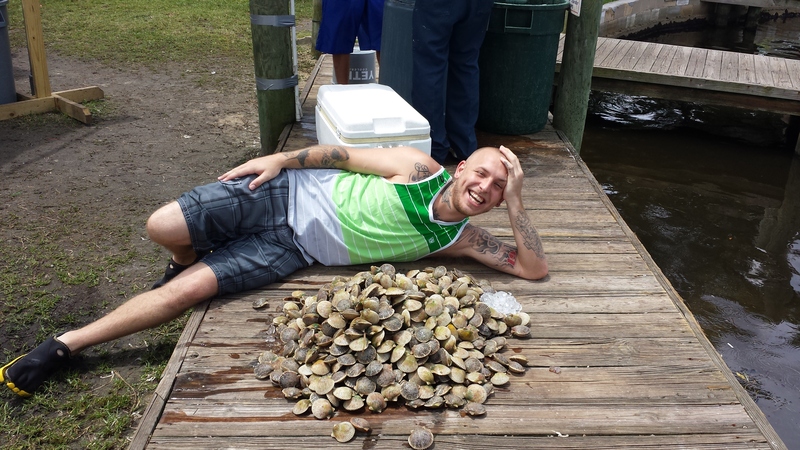 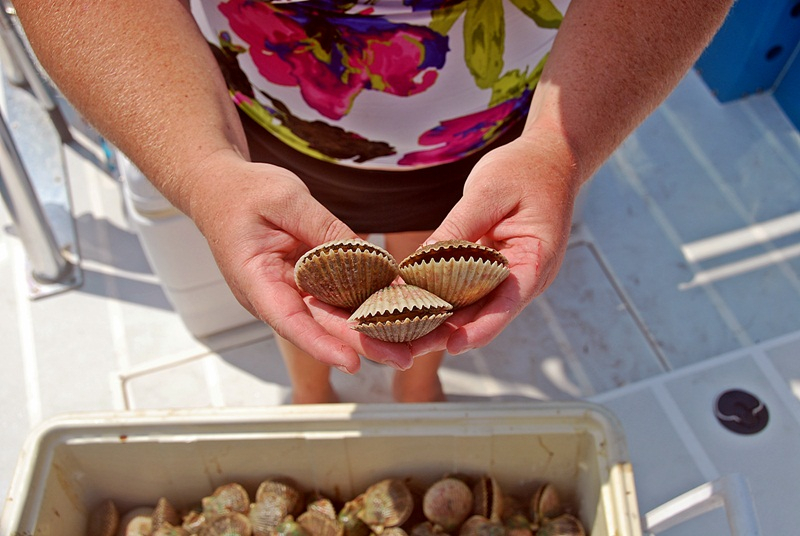 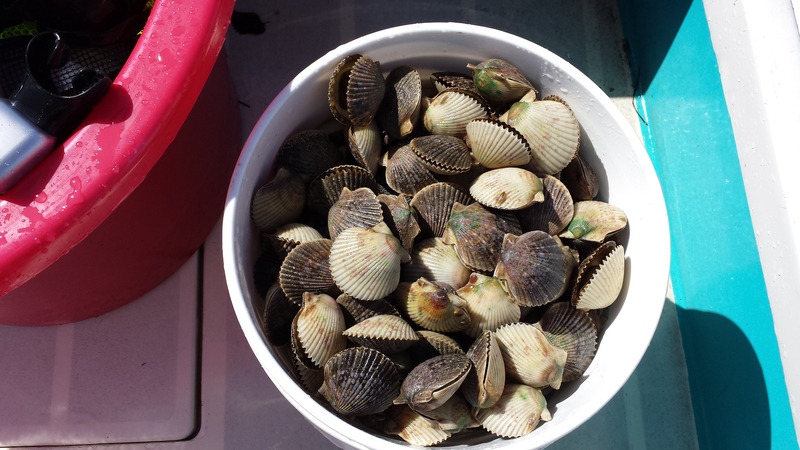 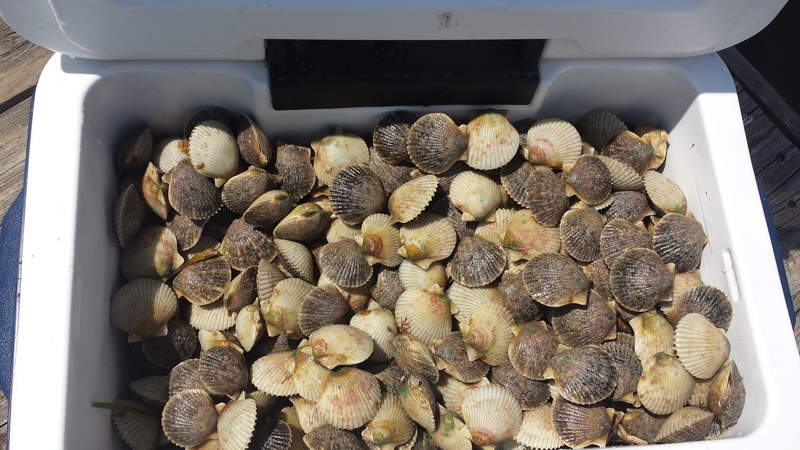 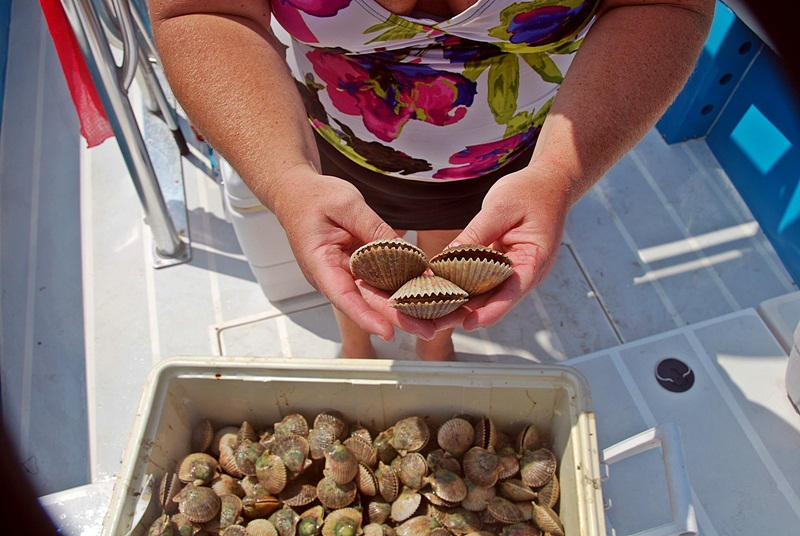 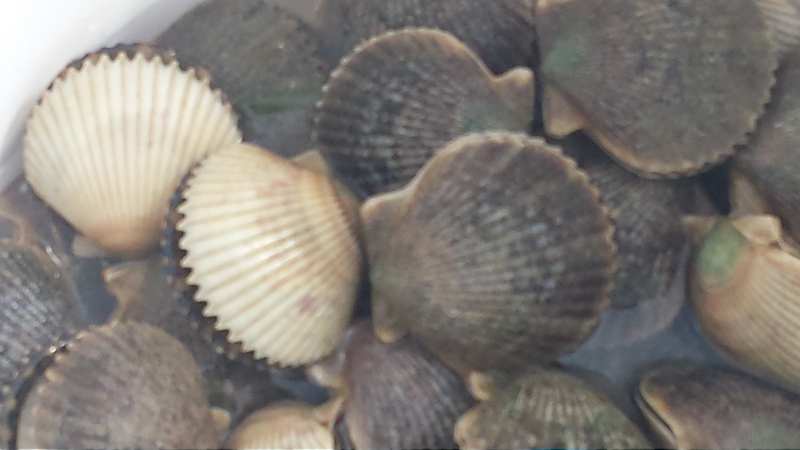 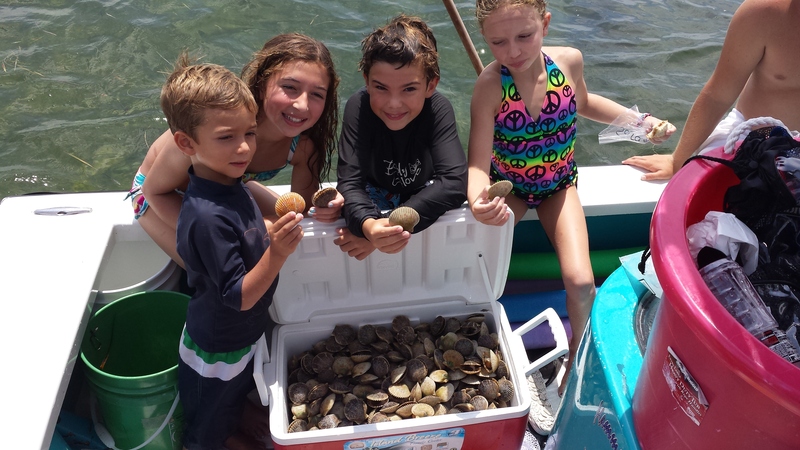 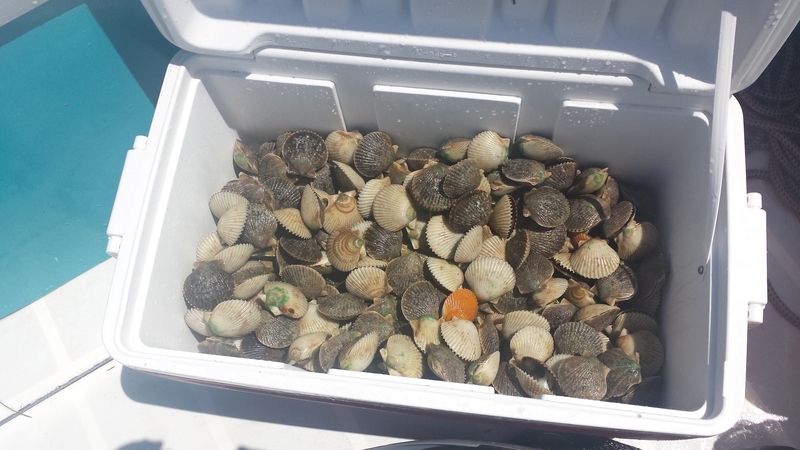 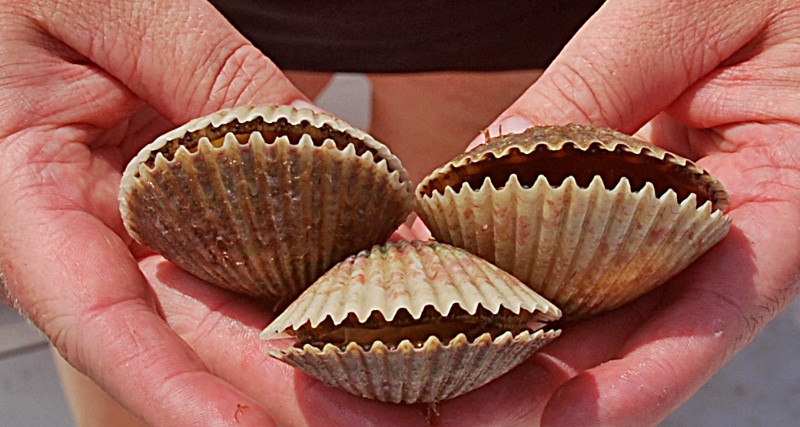 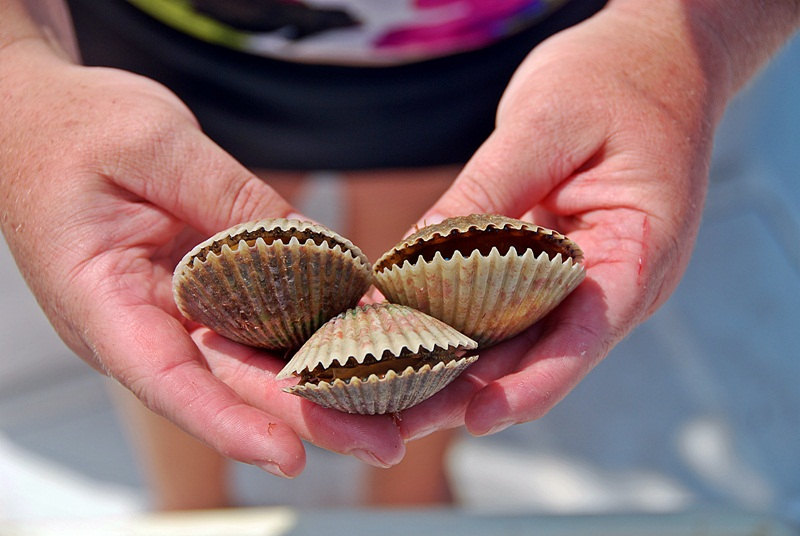 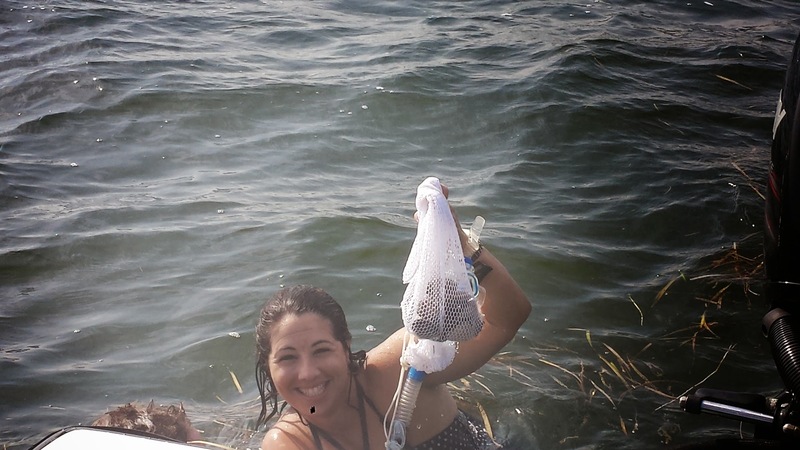 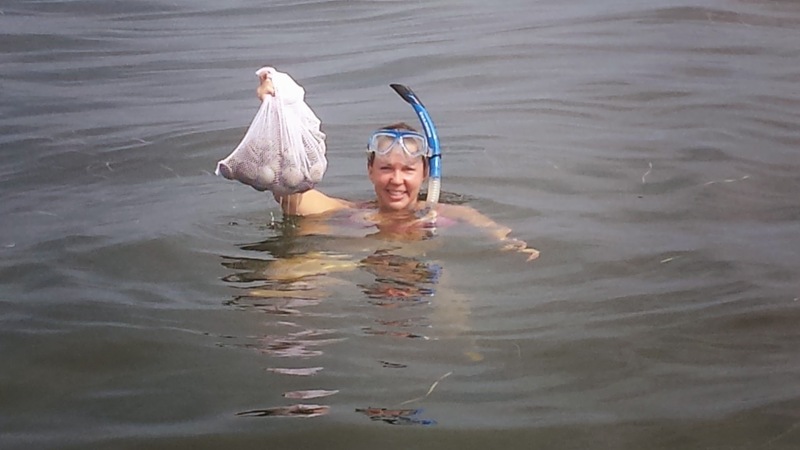 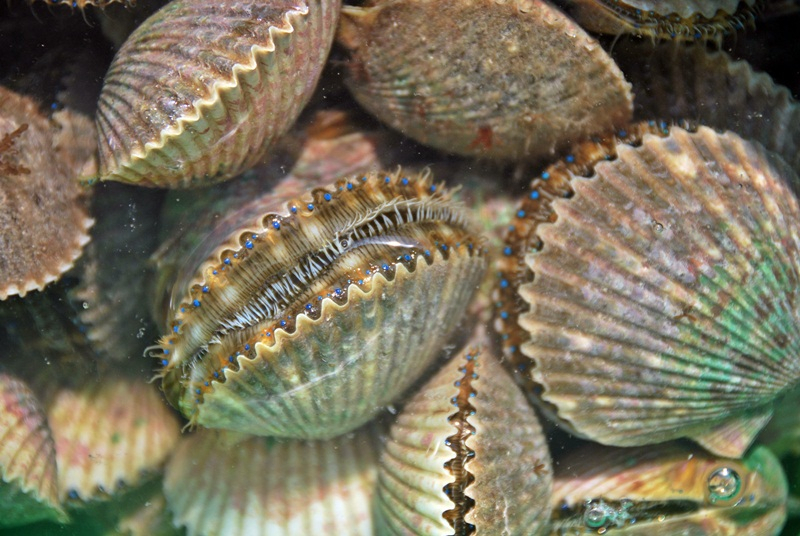 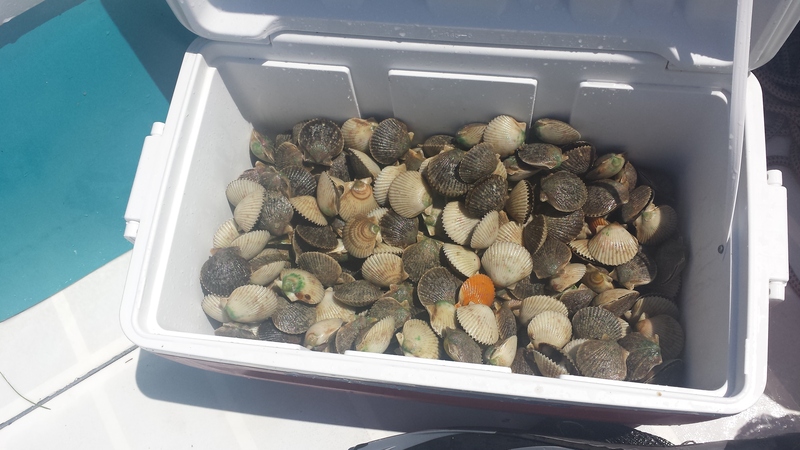 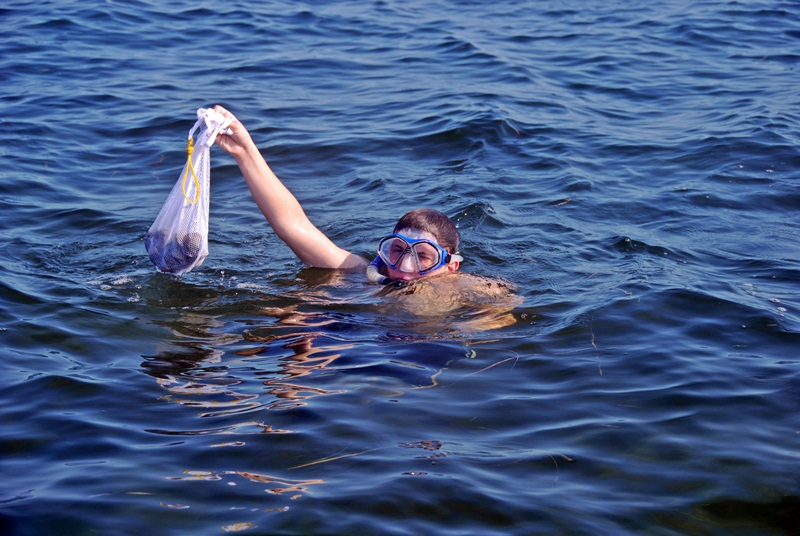 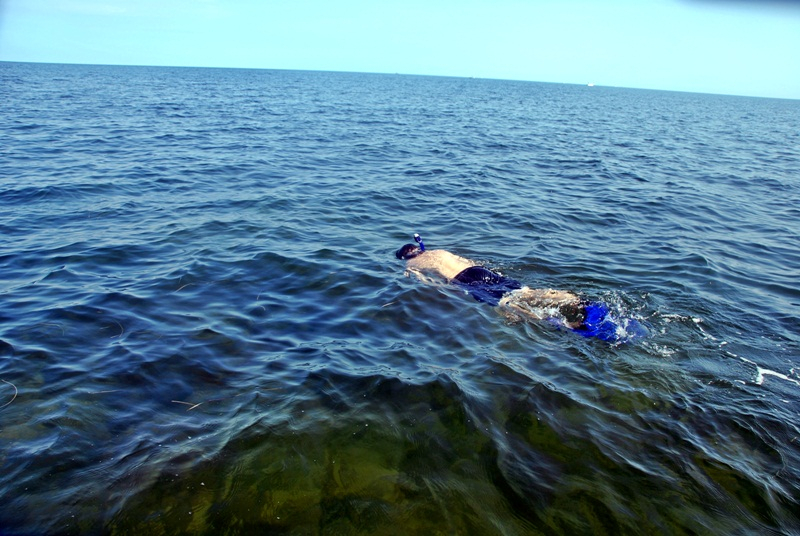 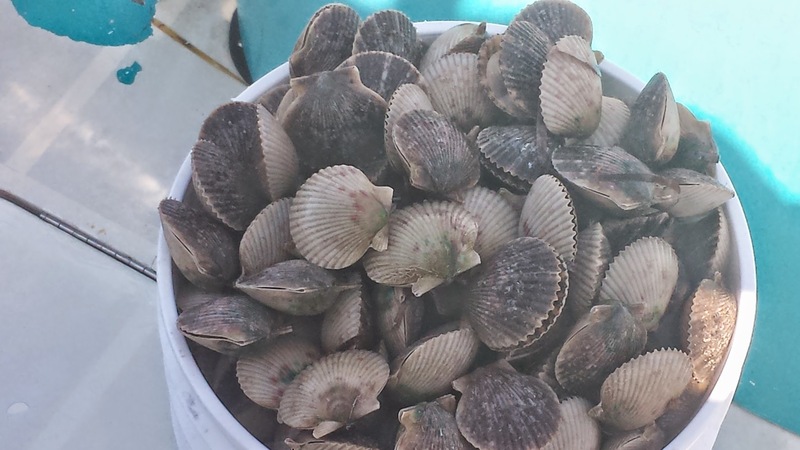 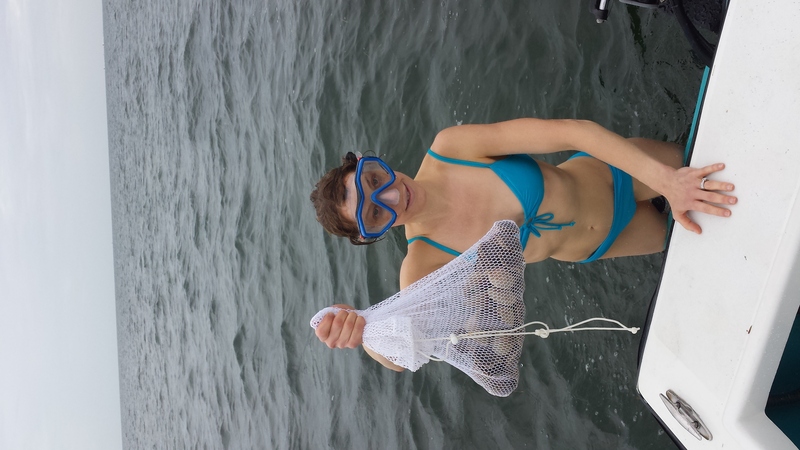 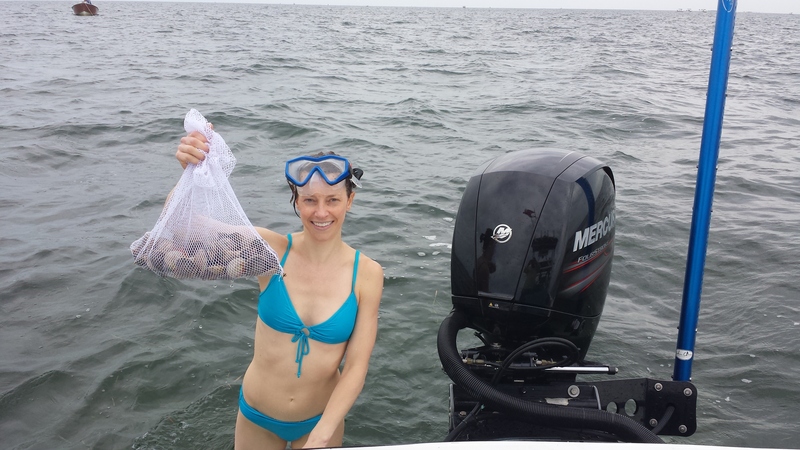 The scalloping has been great if you know where to go to get your limits and don’t mind doing a little diving to pick up those tasty treats. 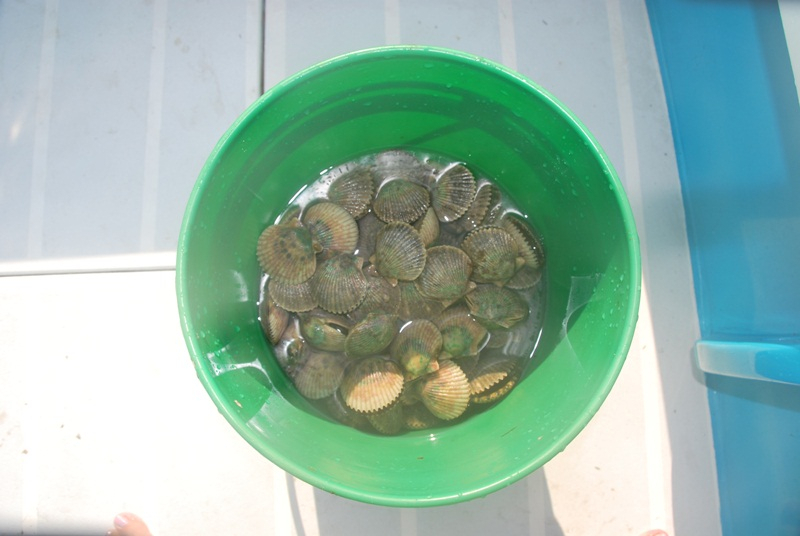 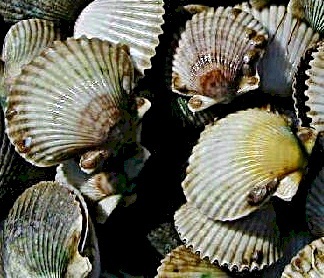 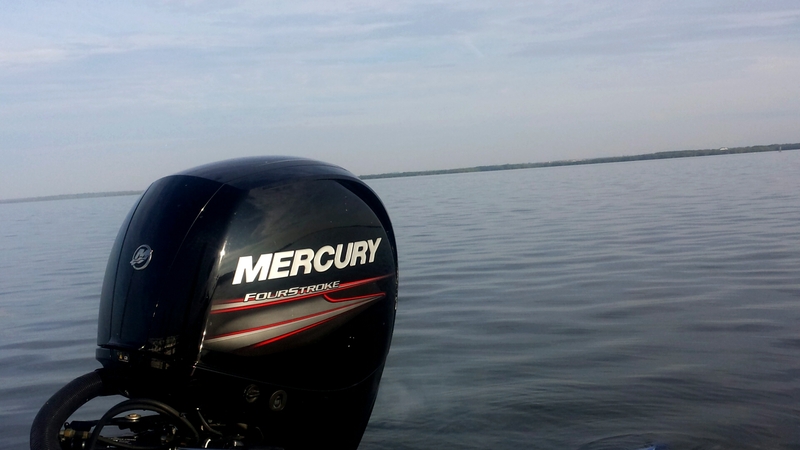 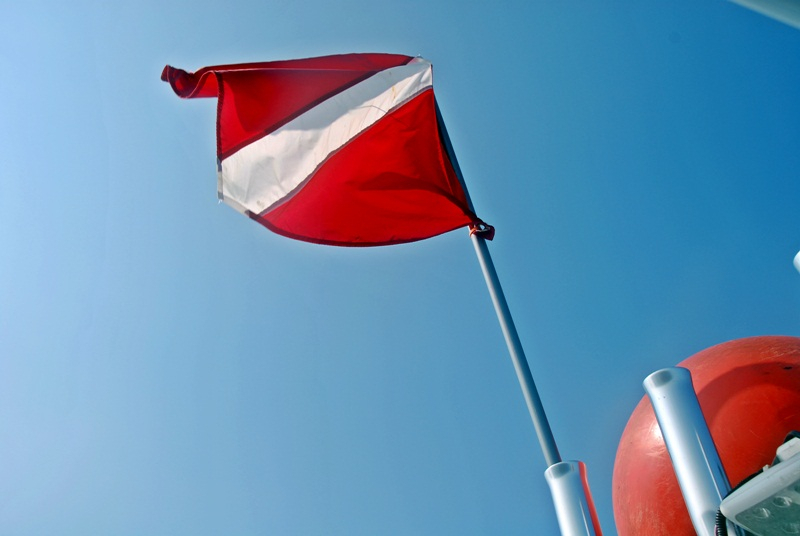 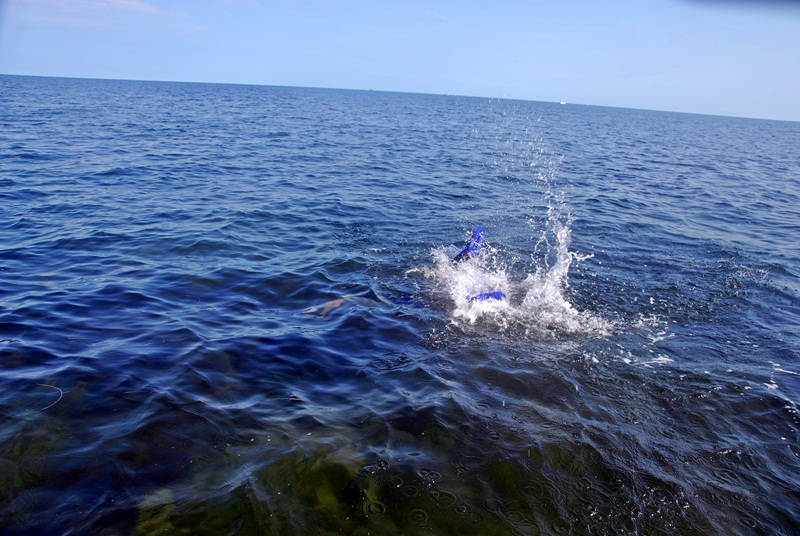 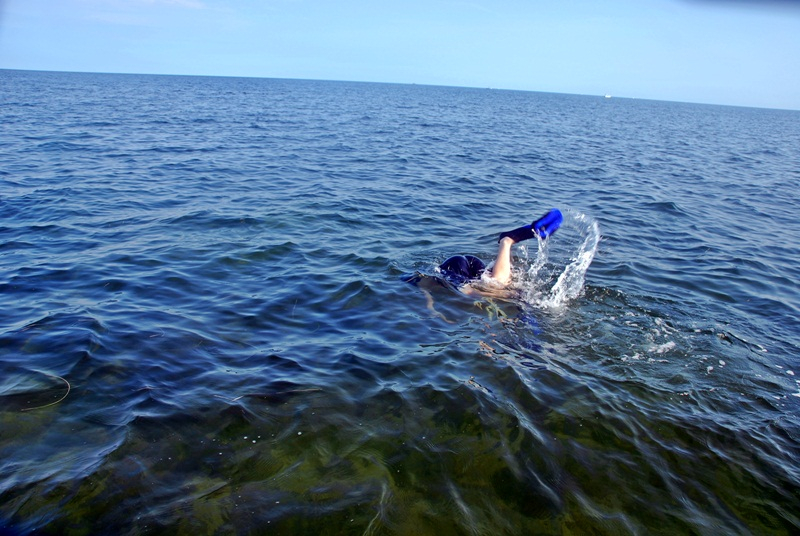 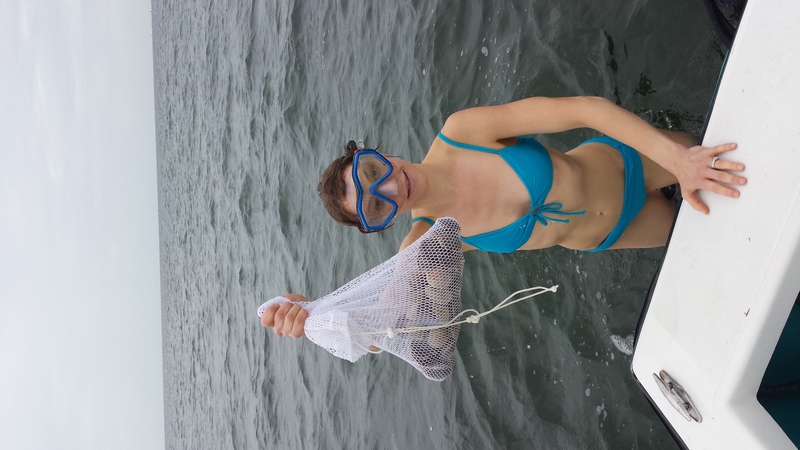 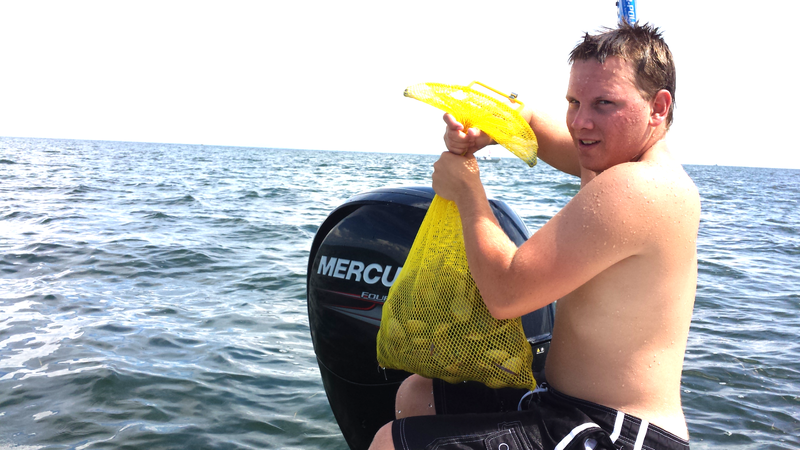 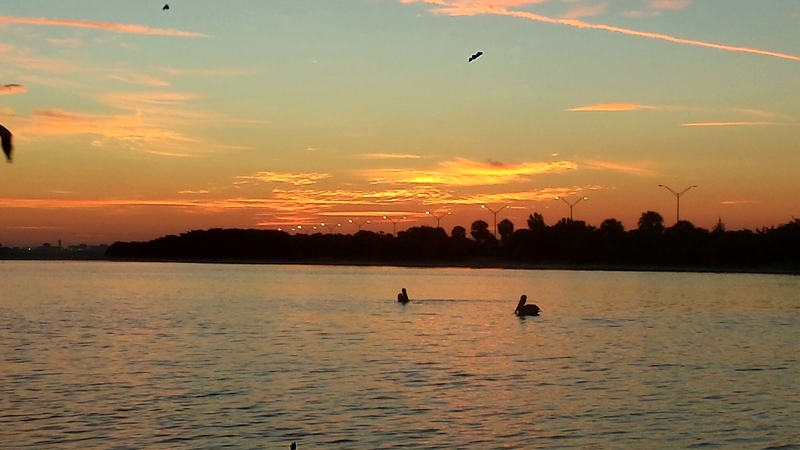 In the month of August the scallops are in 3 to 6 feet of water that is what most people dive in. 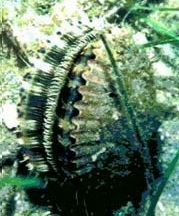 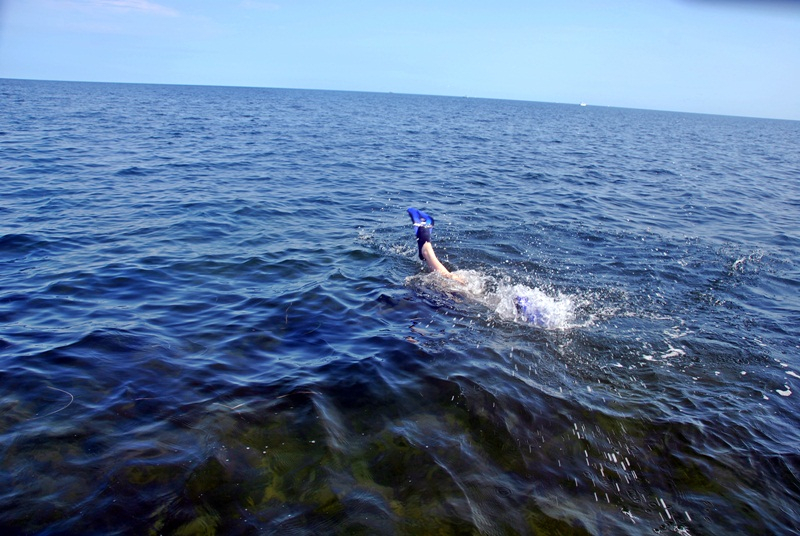 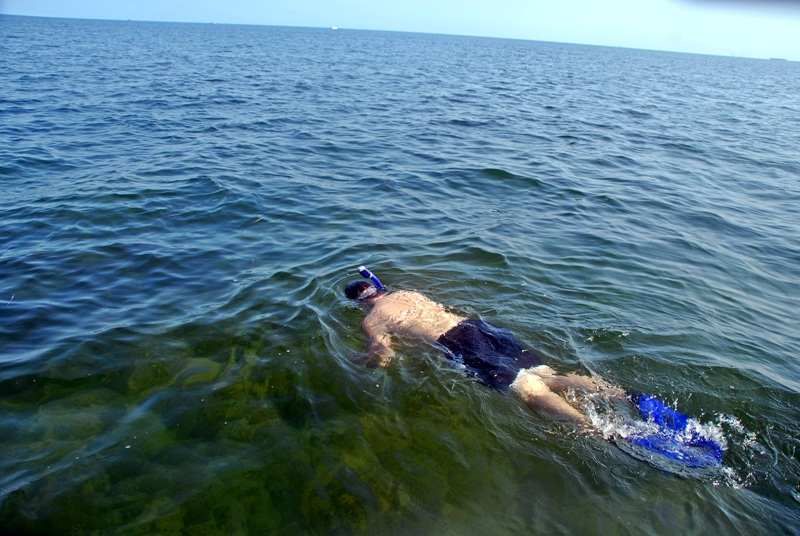 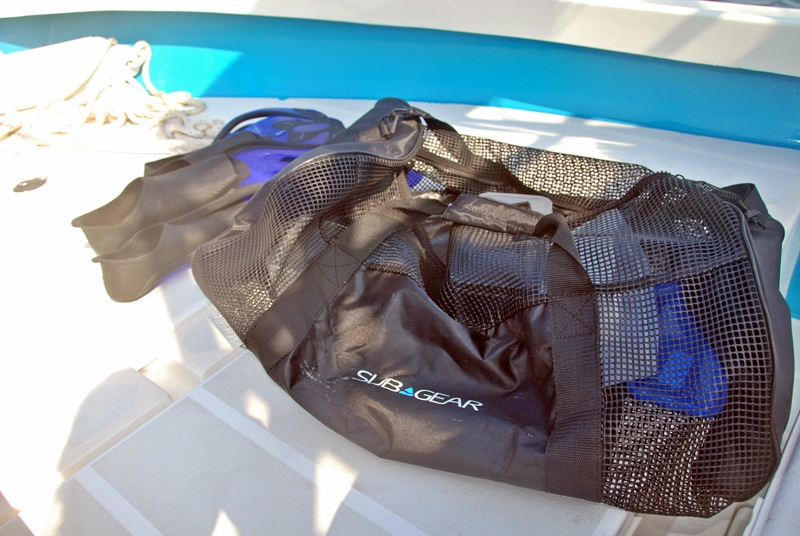 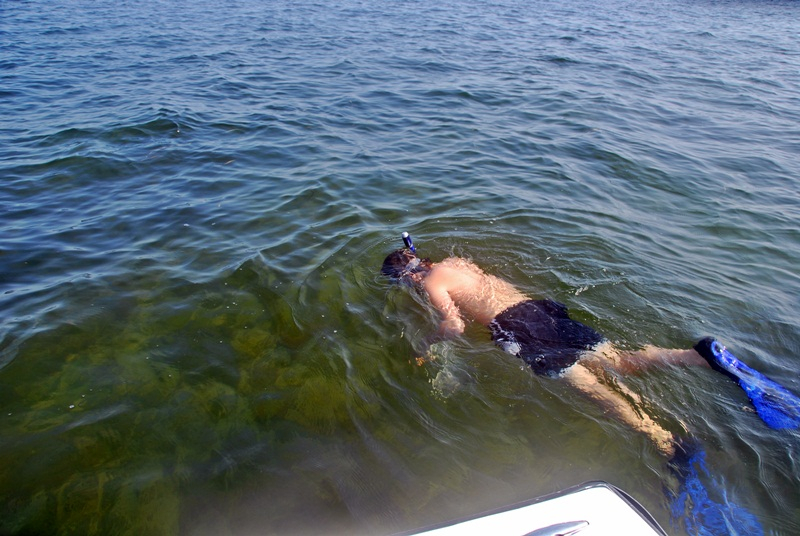 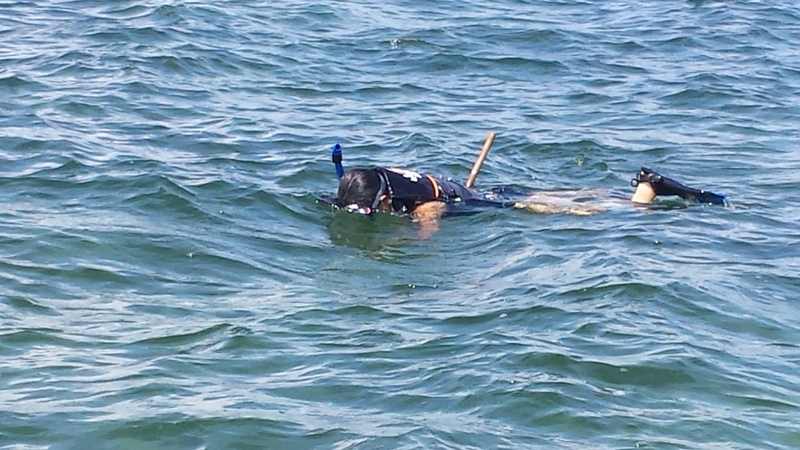 What I look for when I go scalloping is a sea grass bed with sand holes in them. 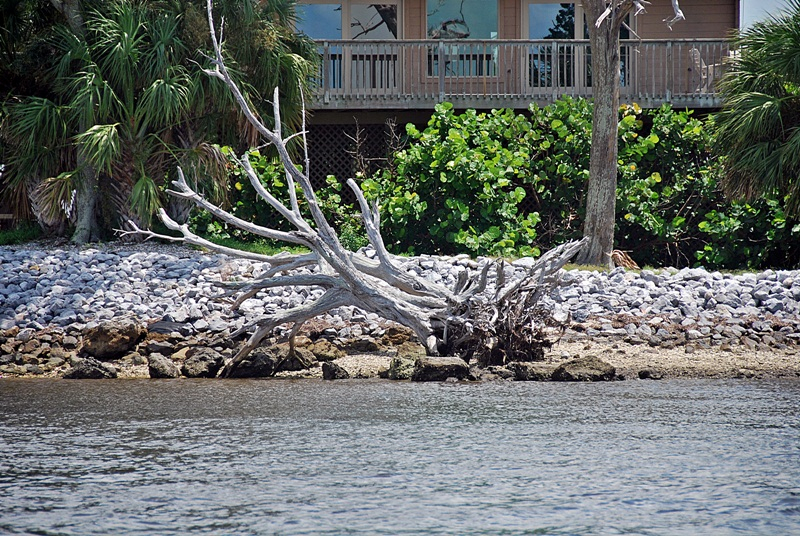 You also want to look for the shorter thinner grass that grows in the sand and that is where you will find them. 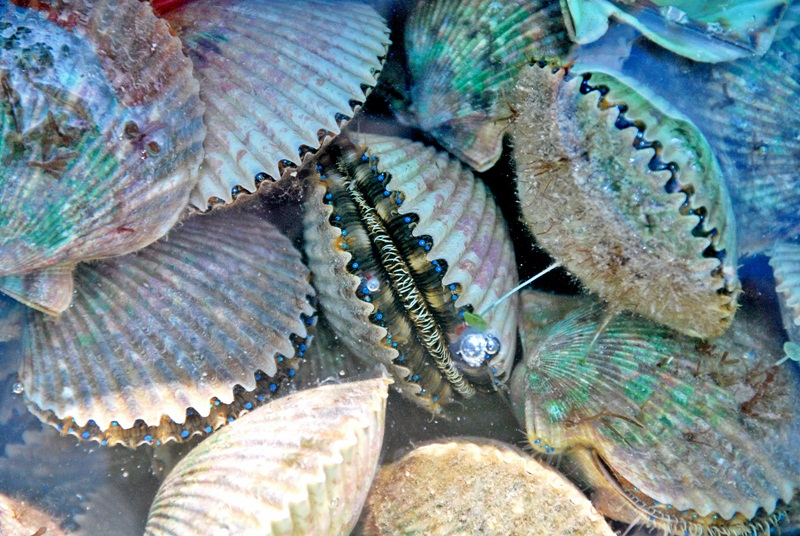 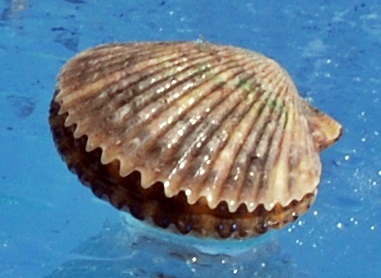 You probably want to know what a scallop looks like will it looks like the Shell gas station sign with a dark top shell and a white bottom with 24 little blue eyes. 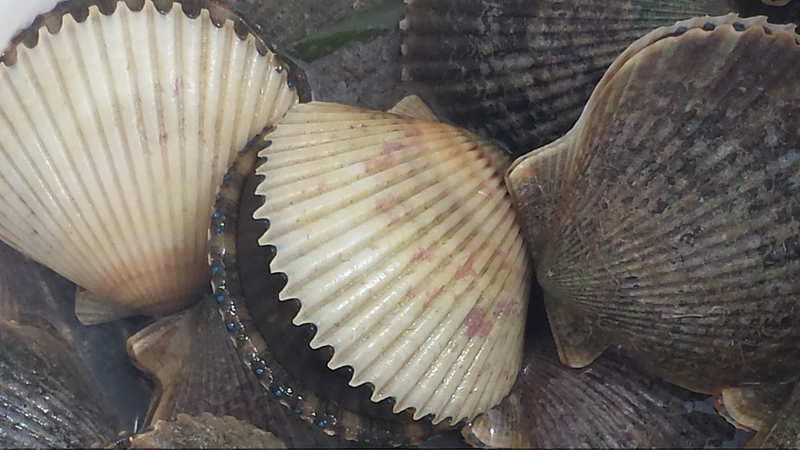 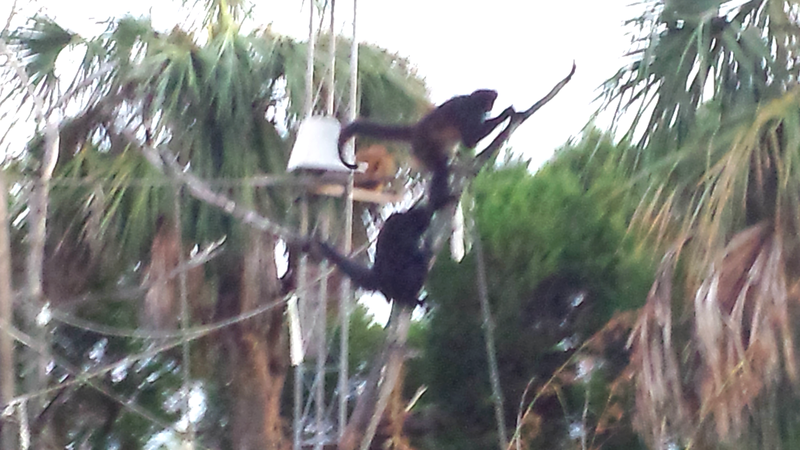 When you see them in the grass the darker side is up and the opposite when they are in the sand most of the time. 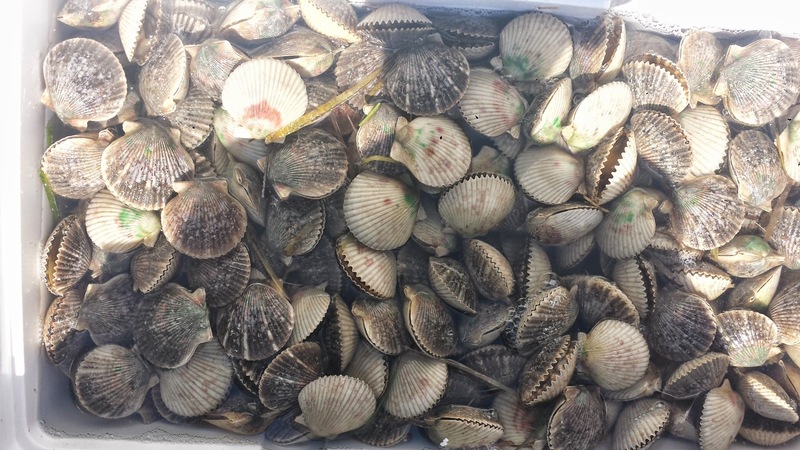 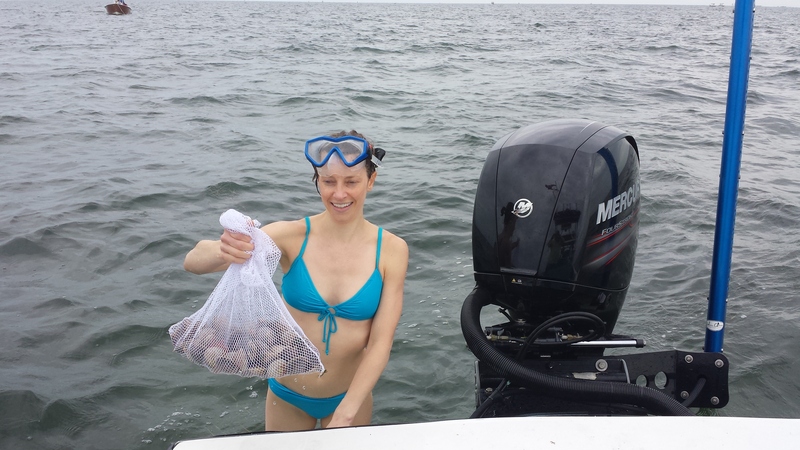 a Maximum of 10 gallons of whole bay scallops in shell, or 1/2 gallon bay scallop meat per vessel as your Daily Bag Limit with no Minimum Size Limit. 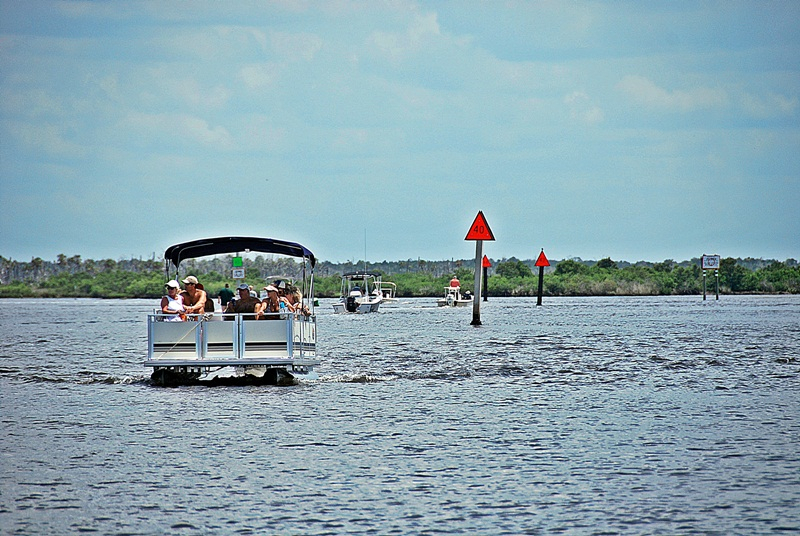 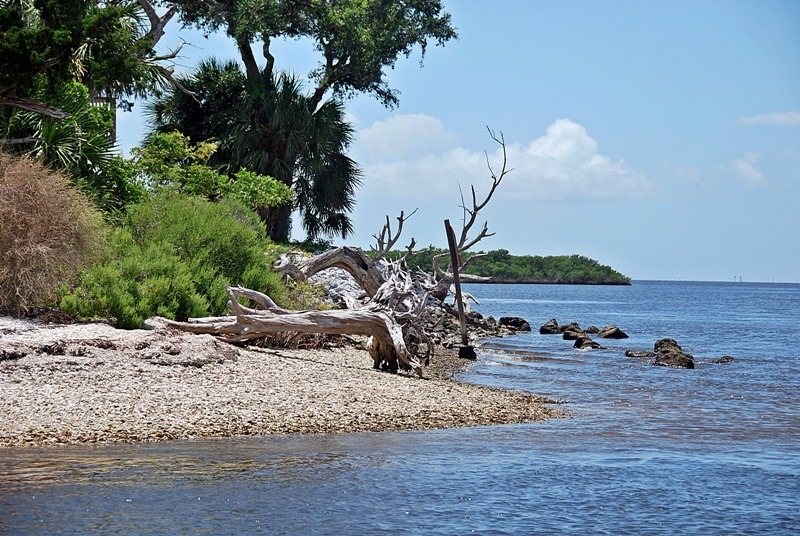 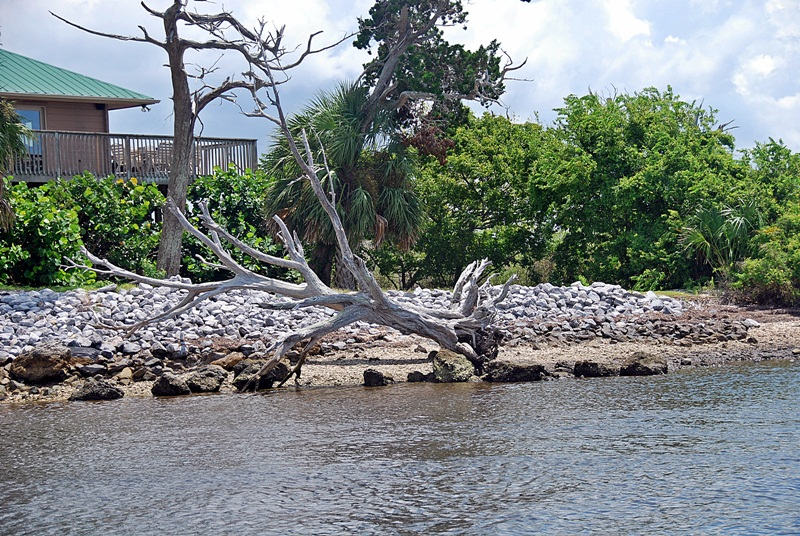 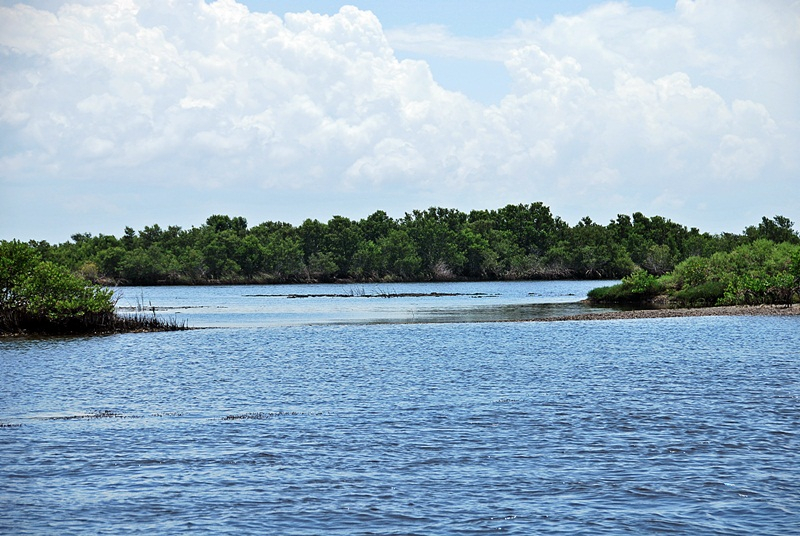 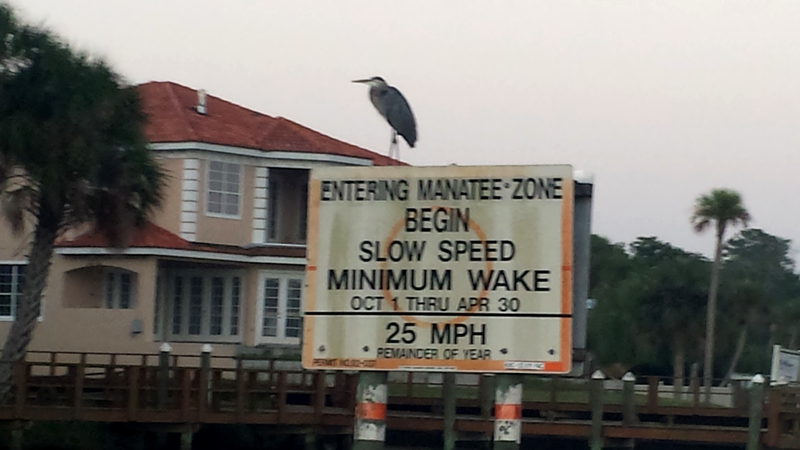 The boundary line is the waters from the Pasco-Hernando County line near Aripeka to Beach Canal in Bay County. 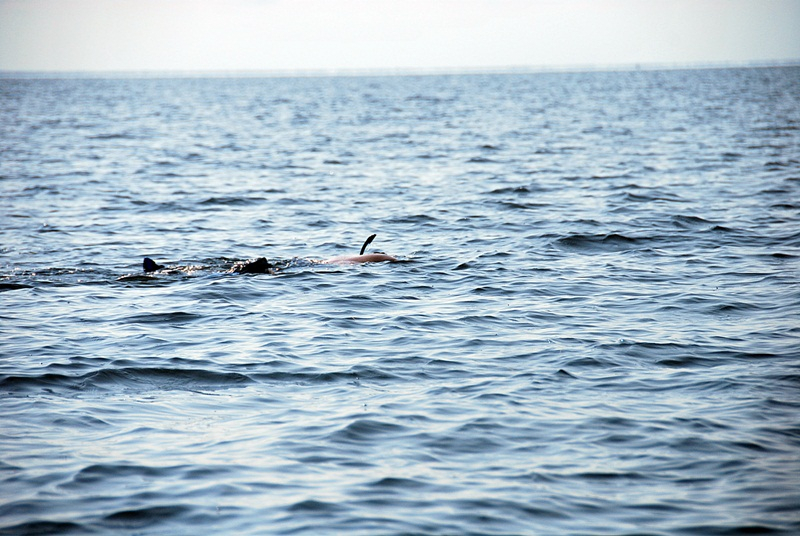 The season this year is from June 28 – Sept. 24. 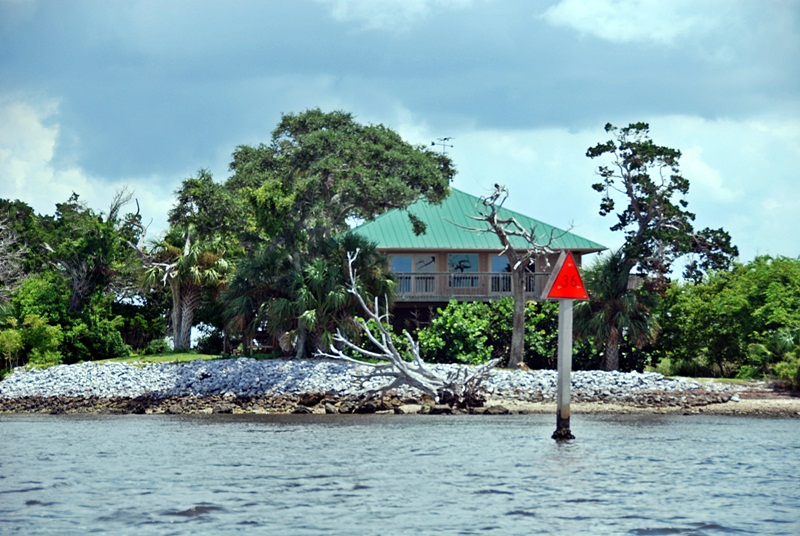 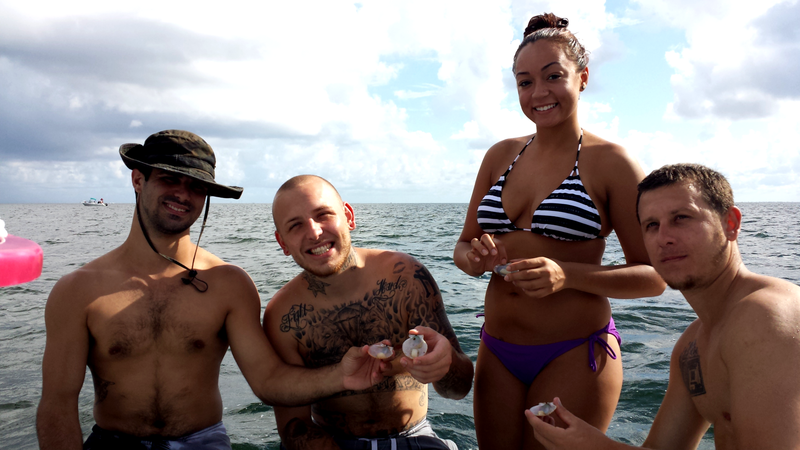 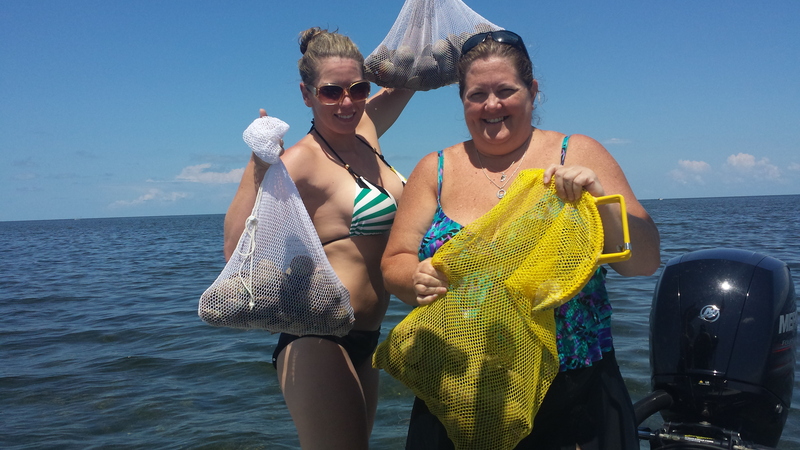 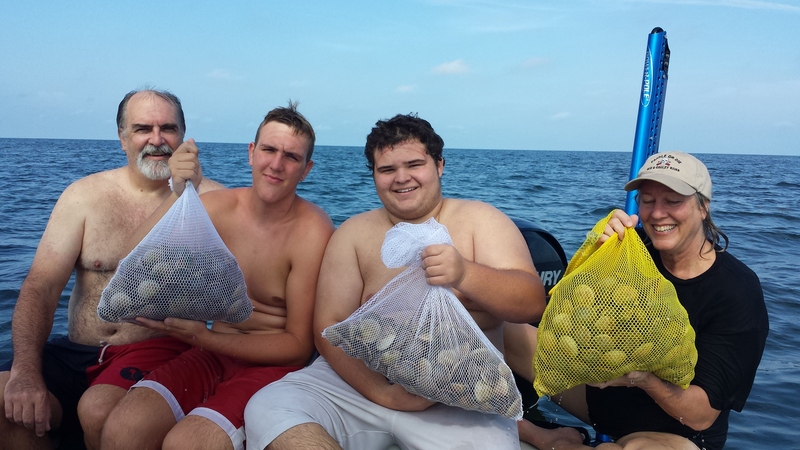 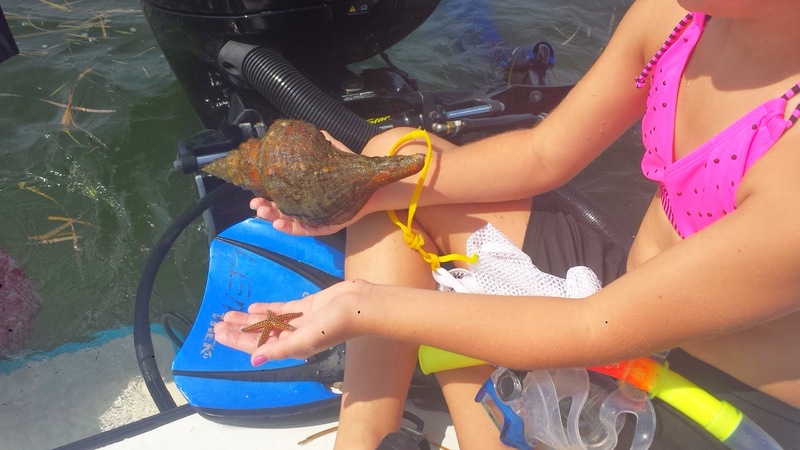 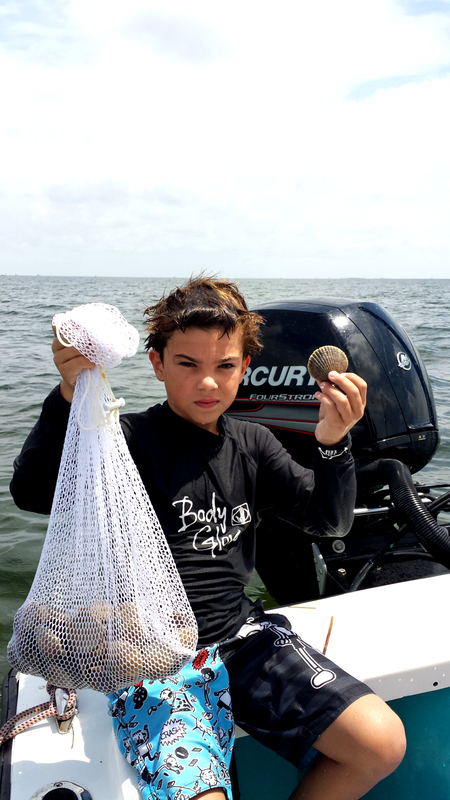 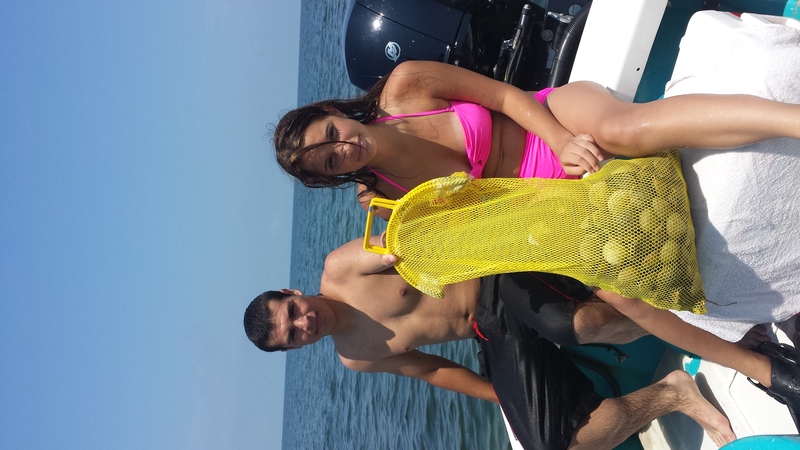 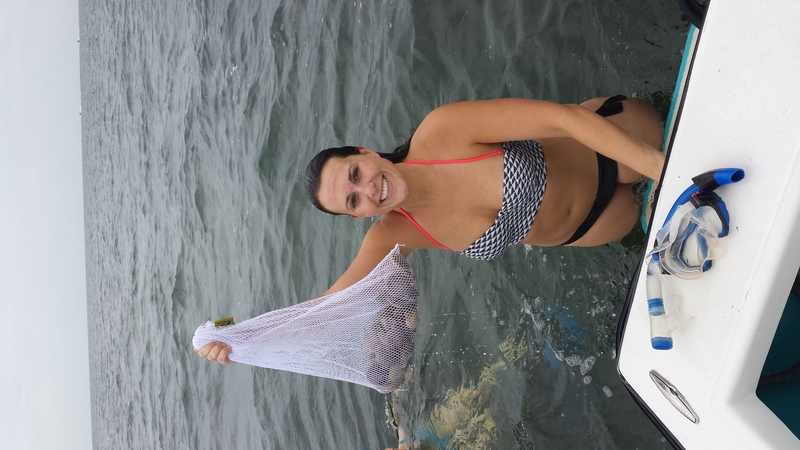 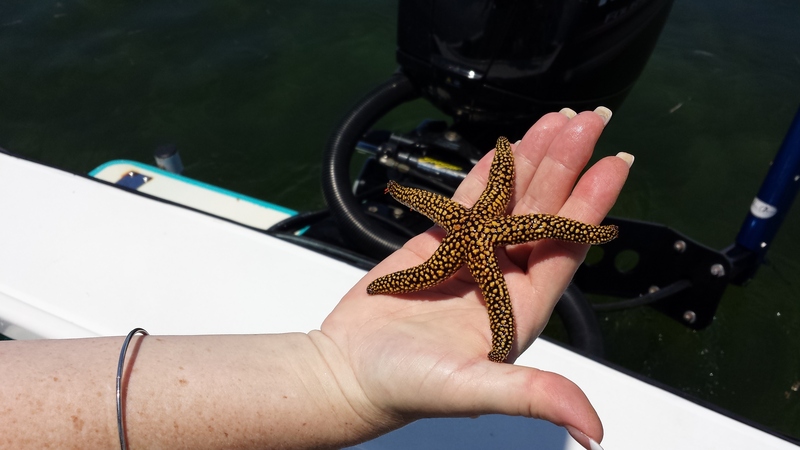 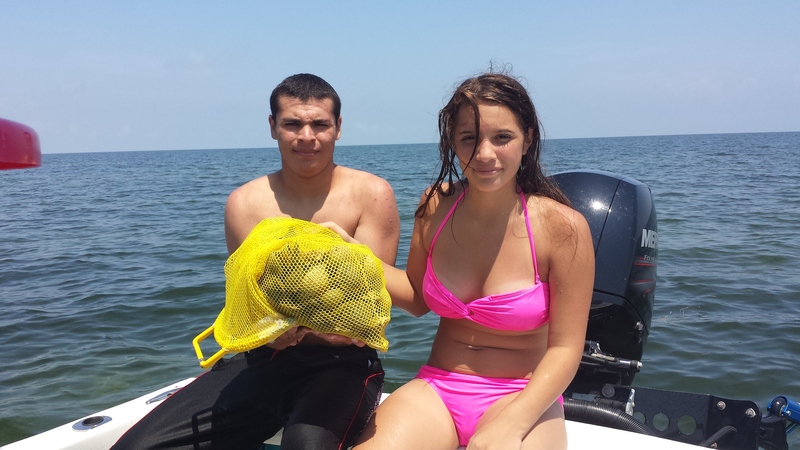 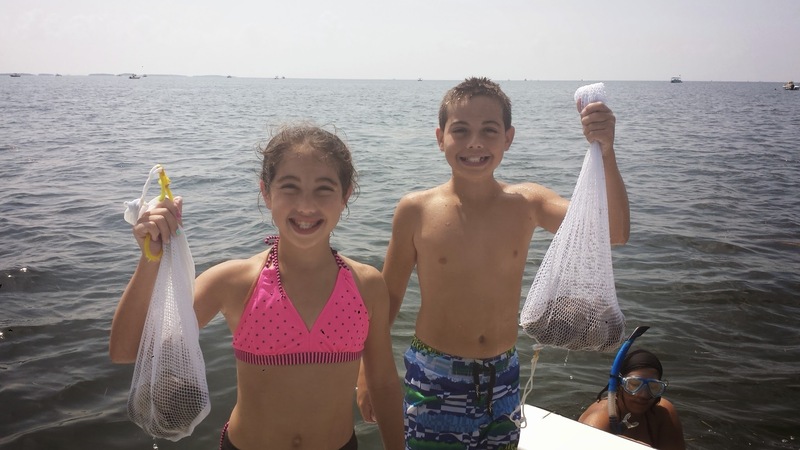 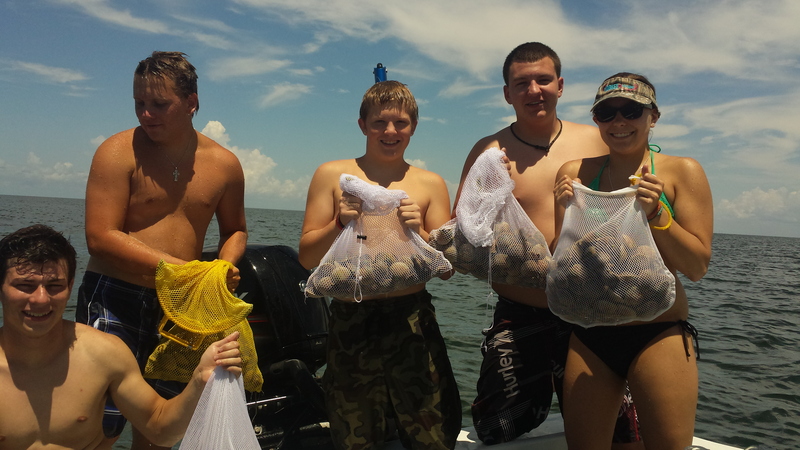 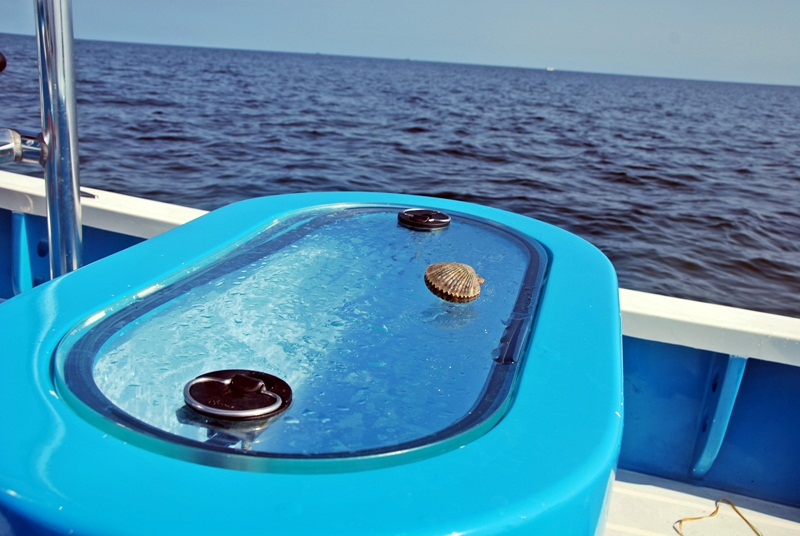 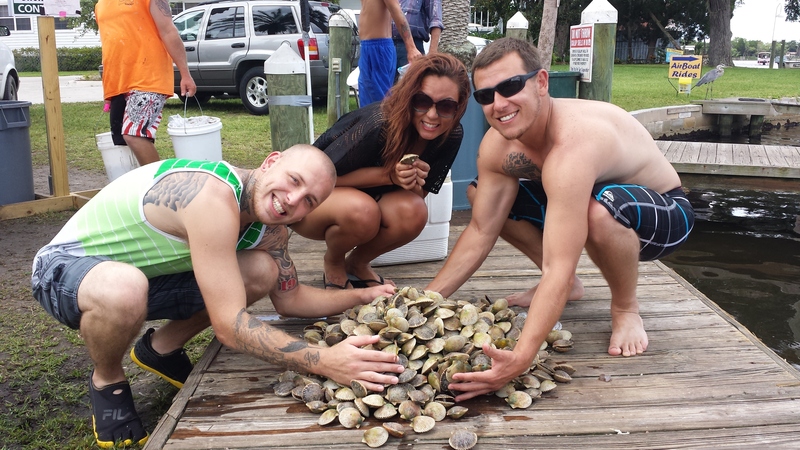 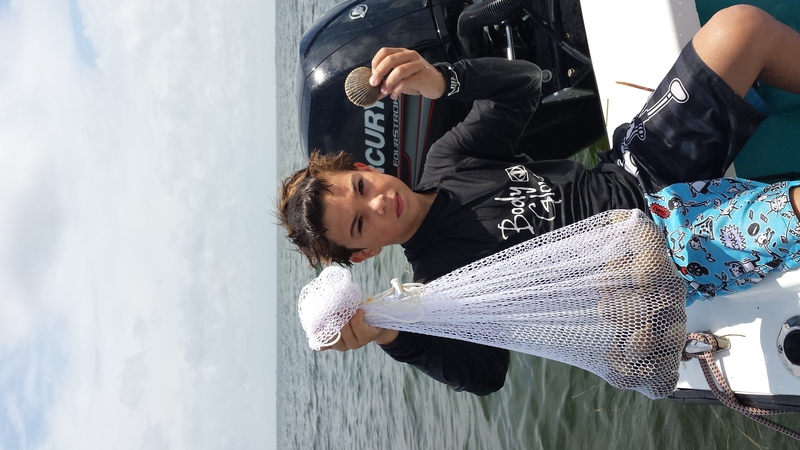 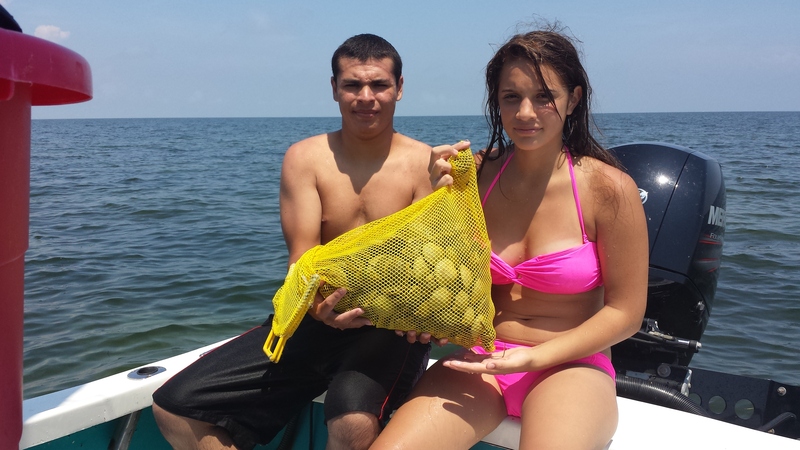 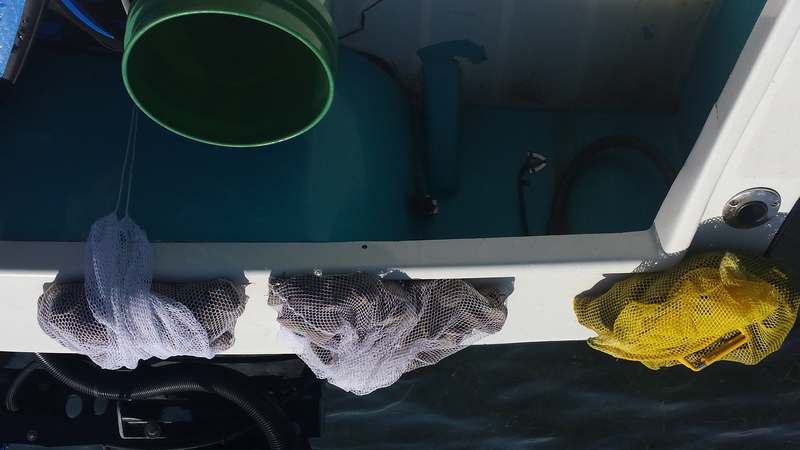 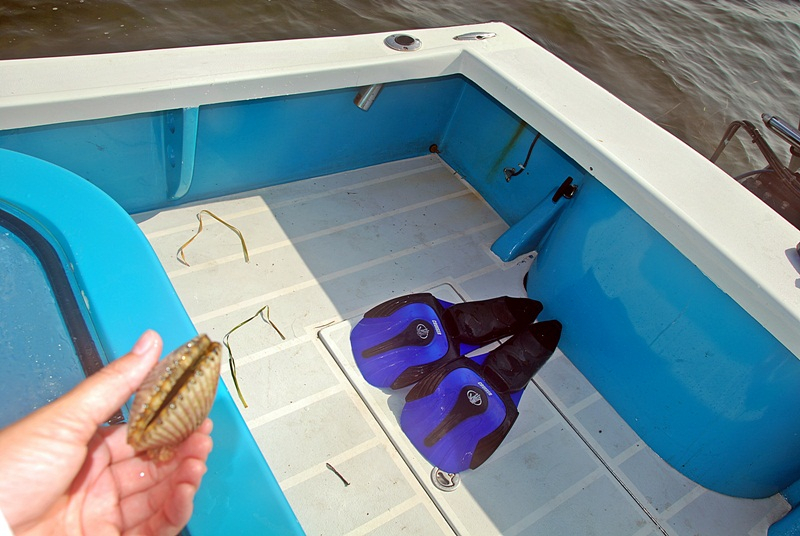 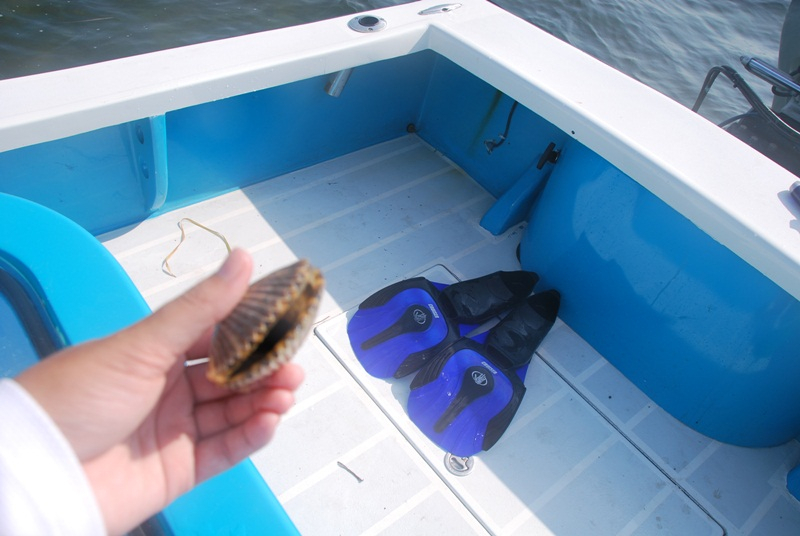 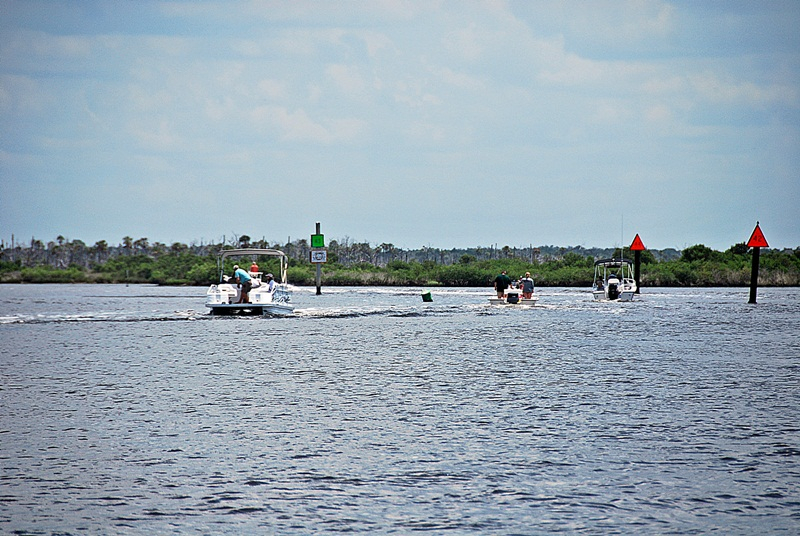 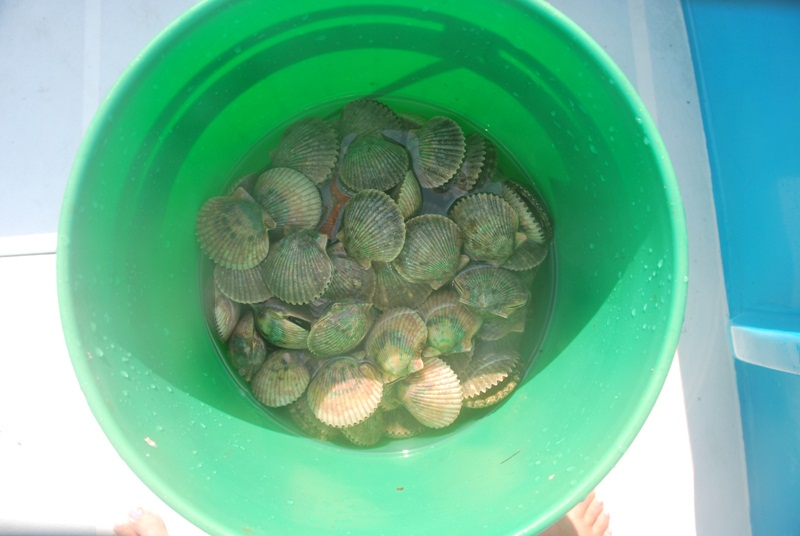 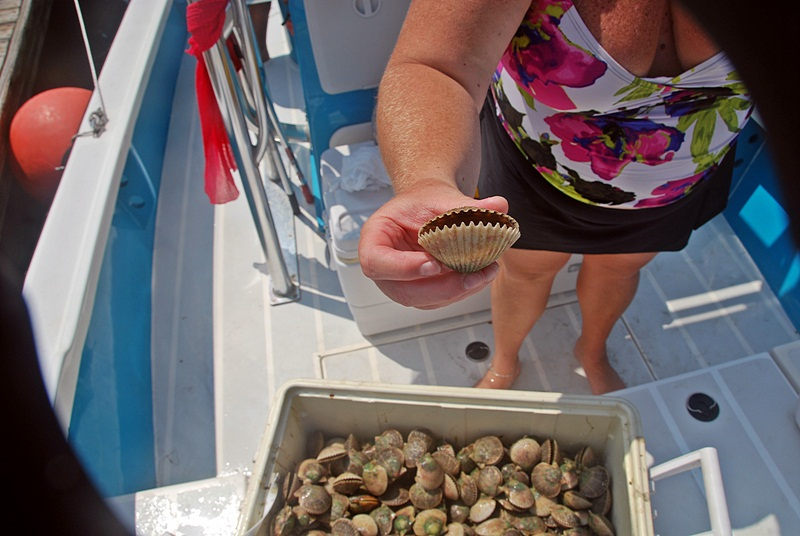 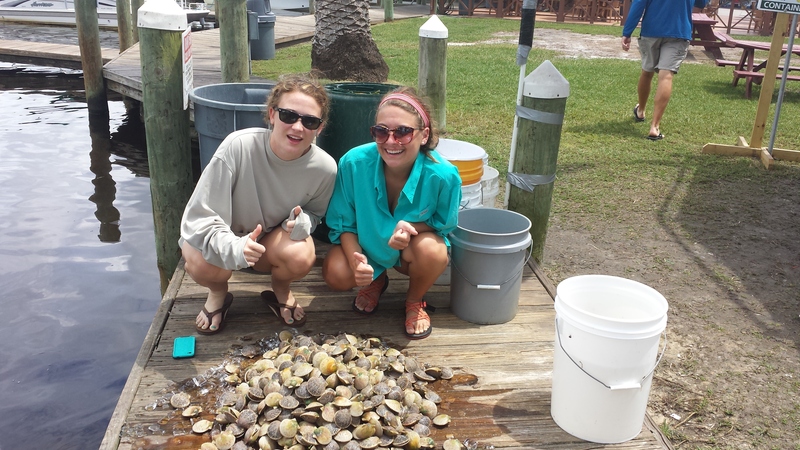 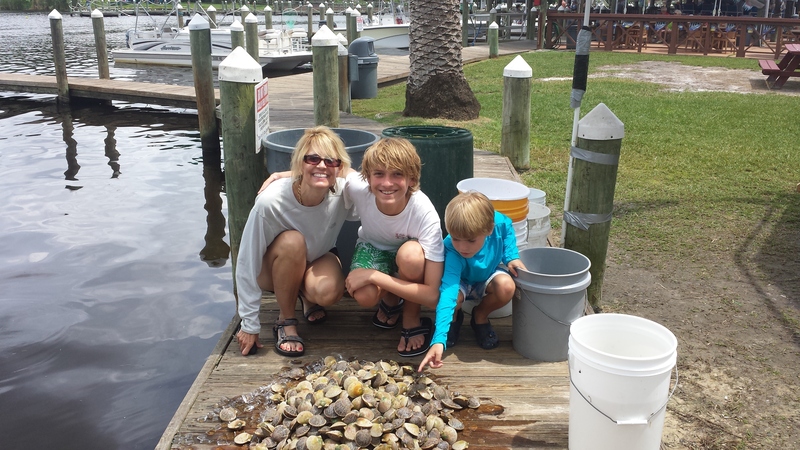 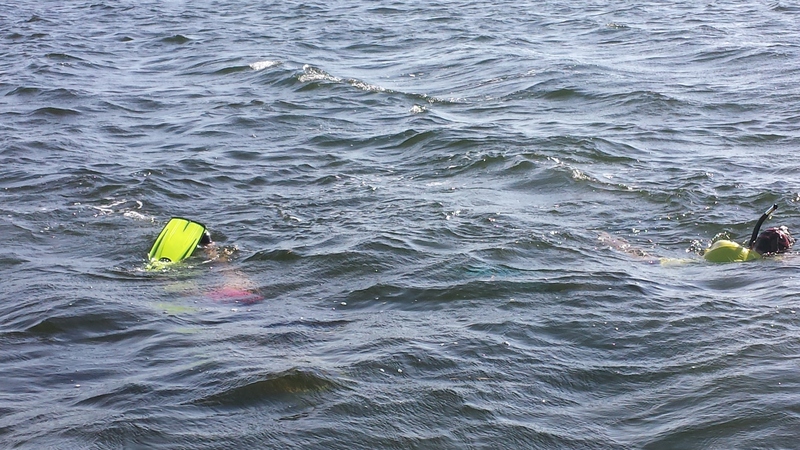 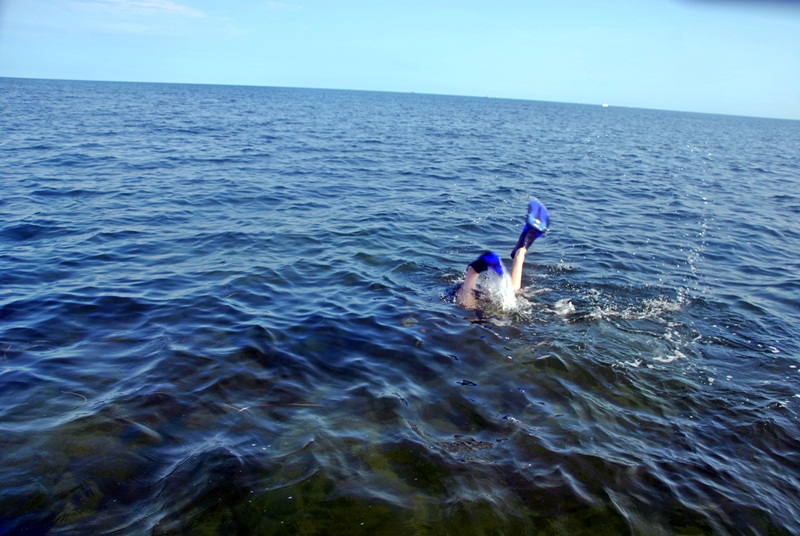 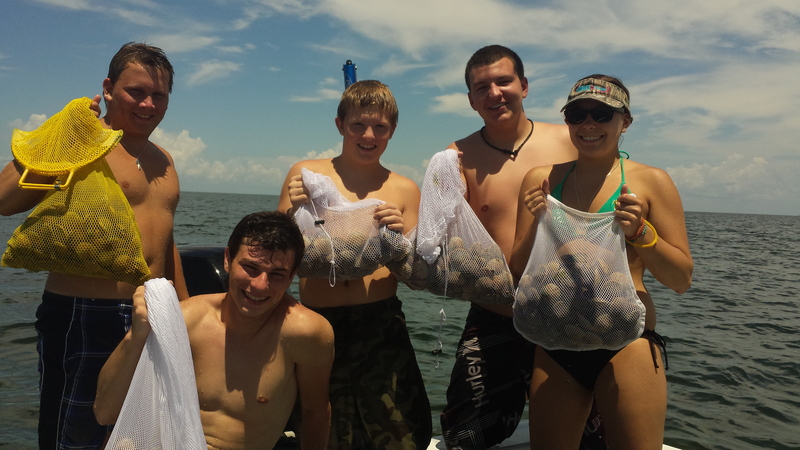 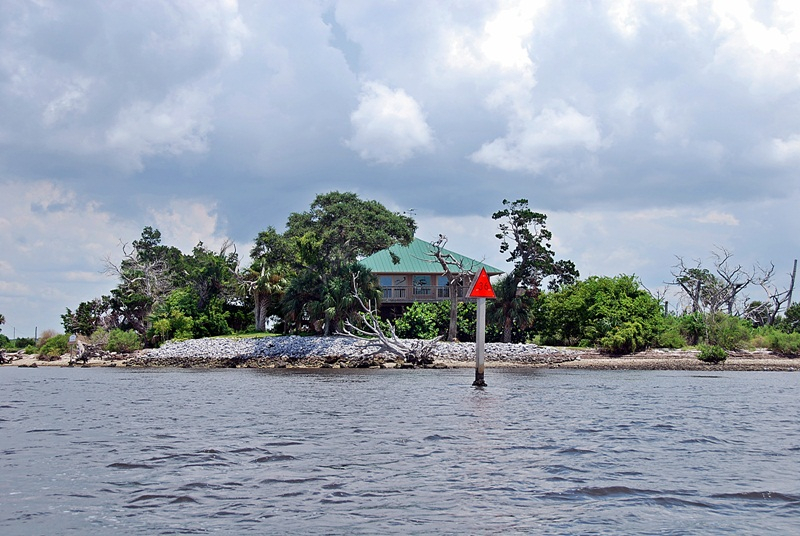 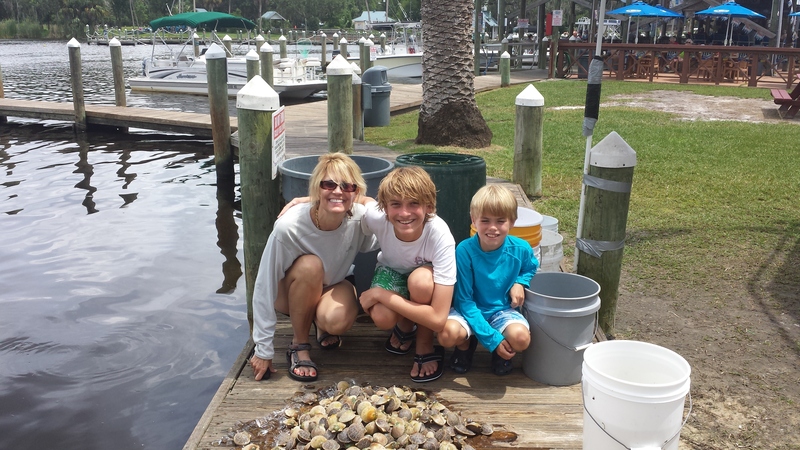 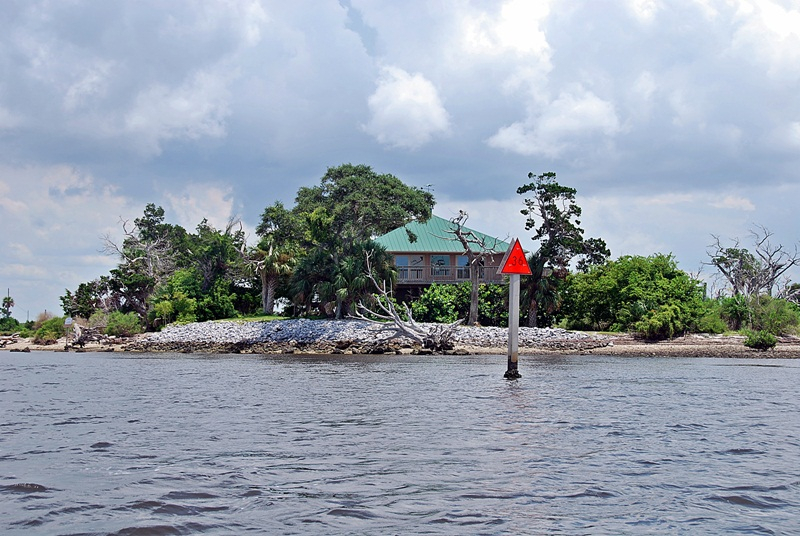 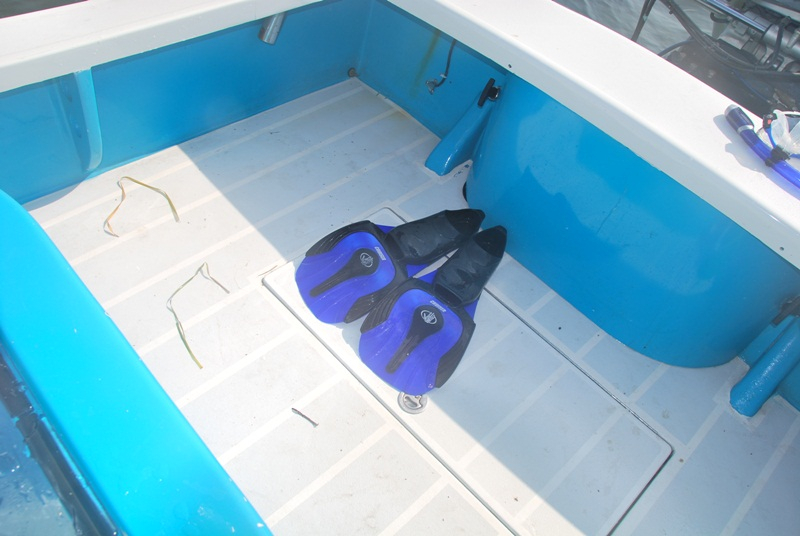 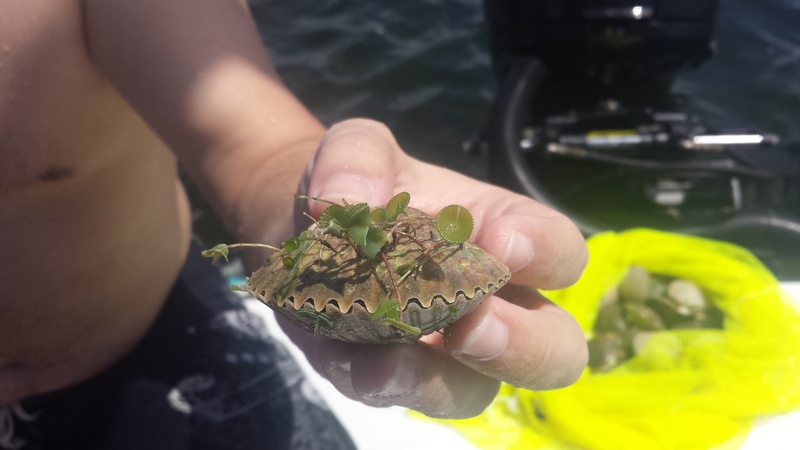 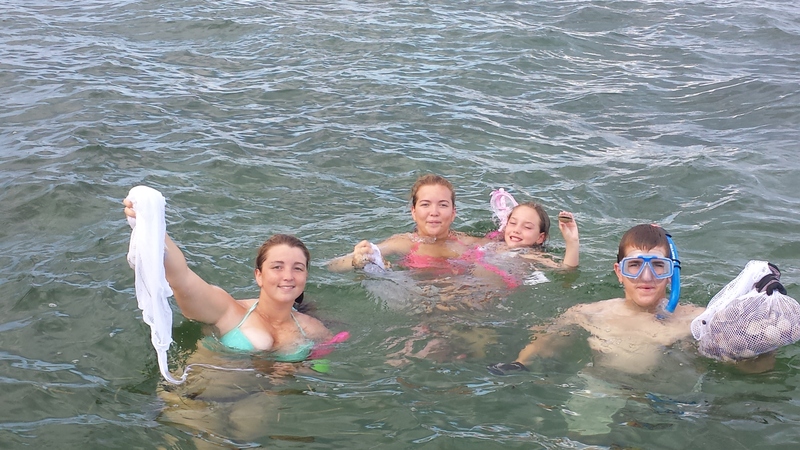 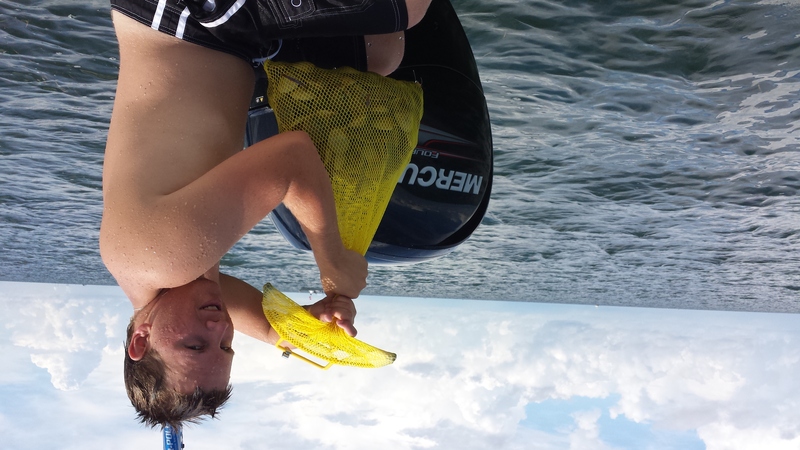 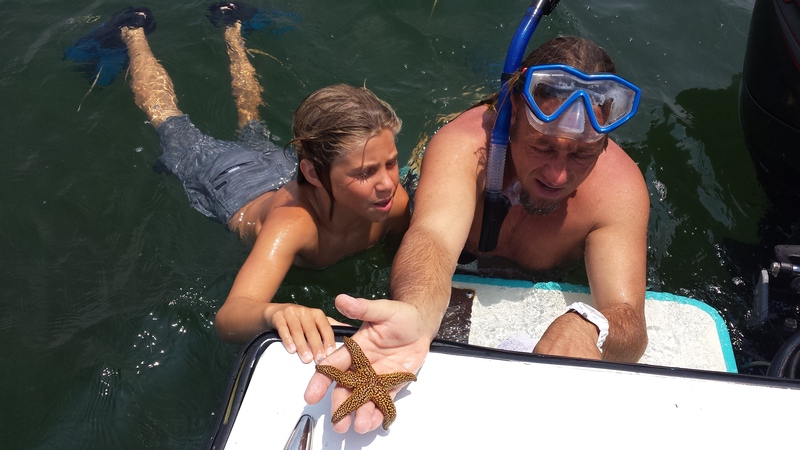 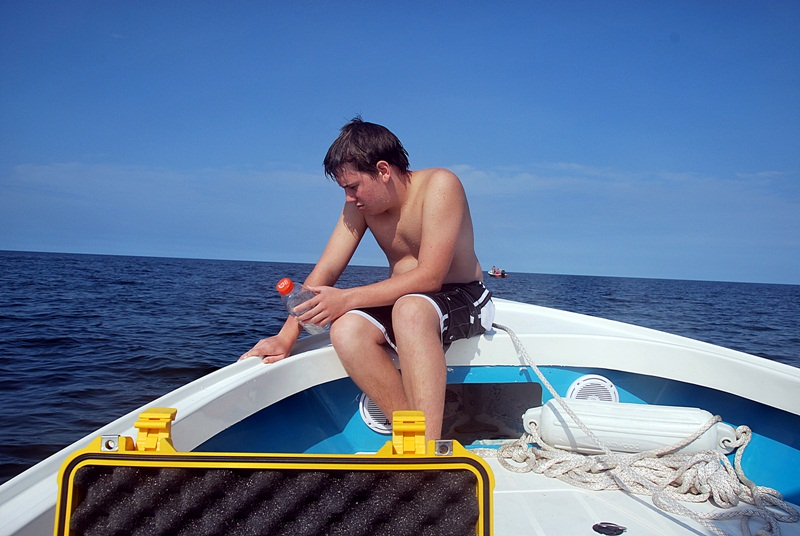 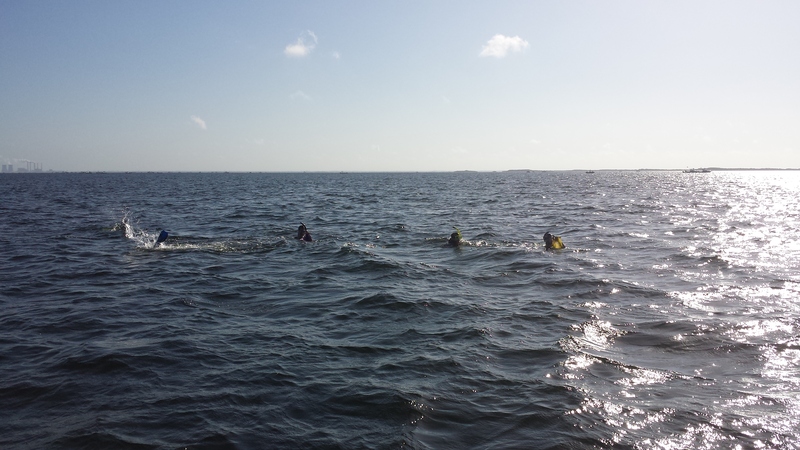 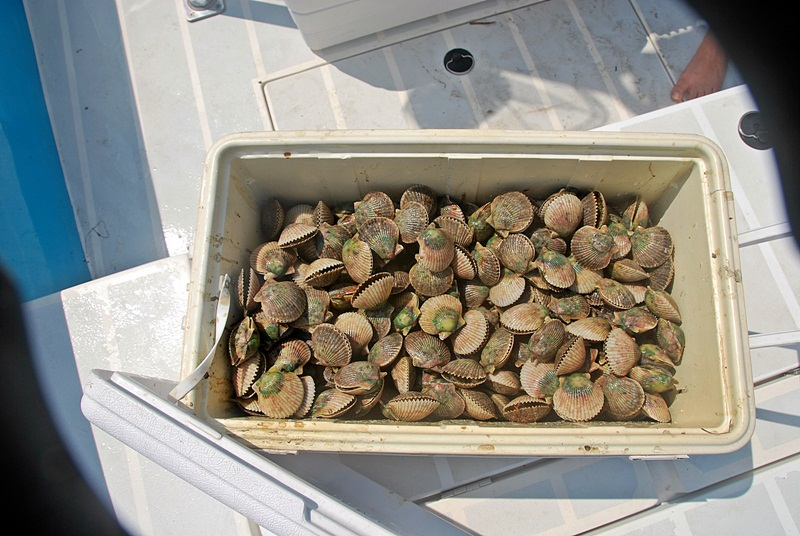 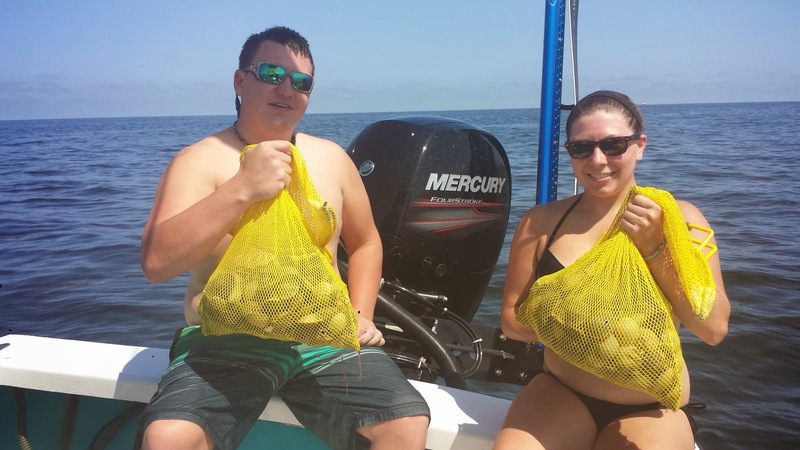 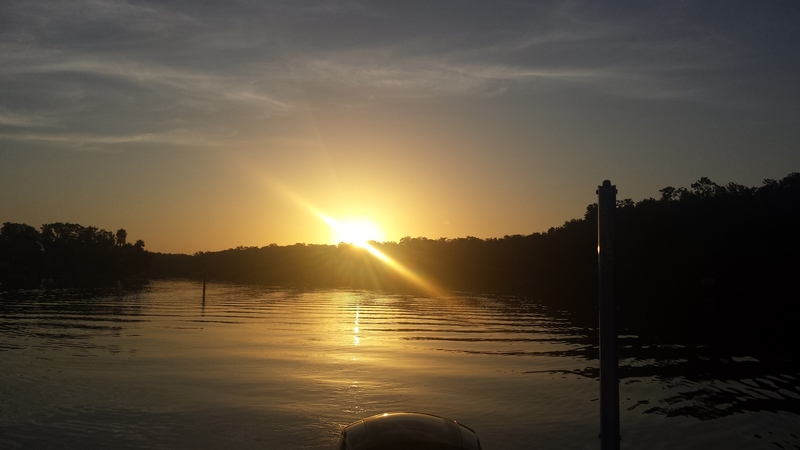 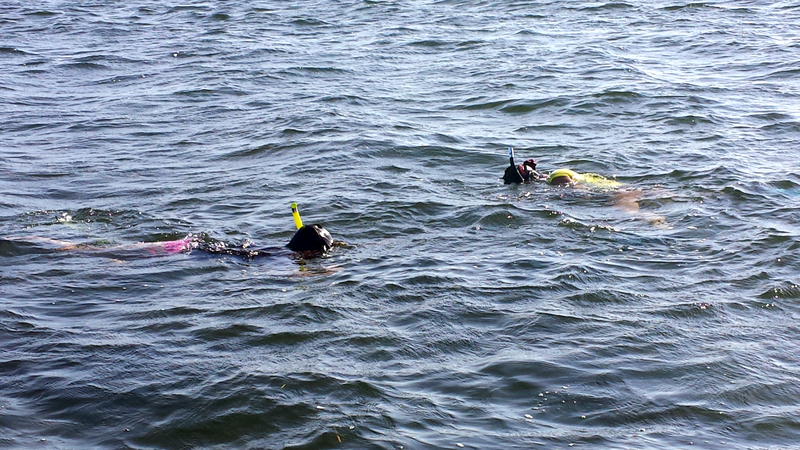 Here are some photos from the past month of scalloping with Homosassa Scalloping Charters.